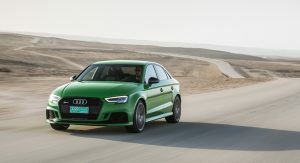 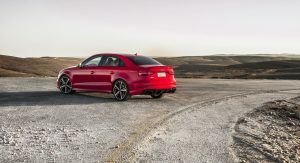 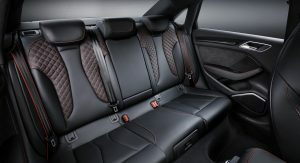 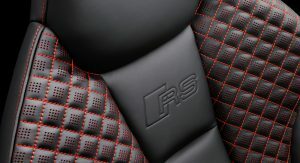 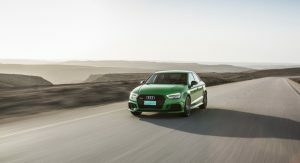 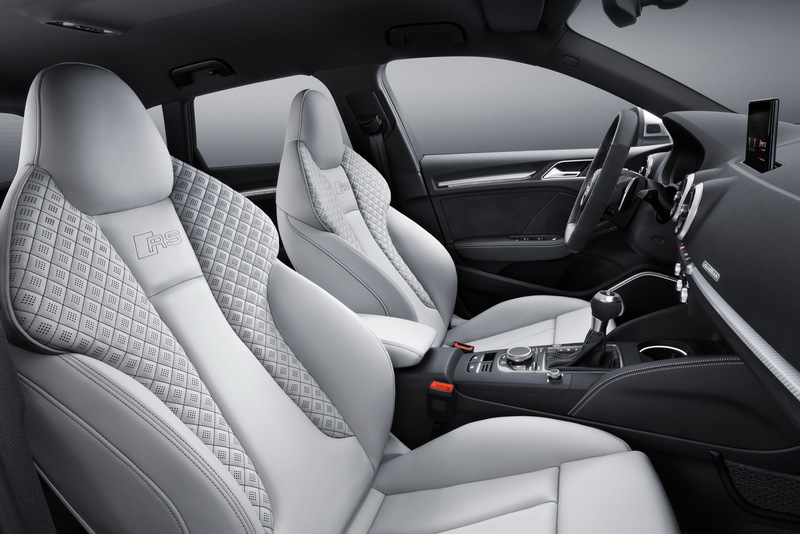 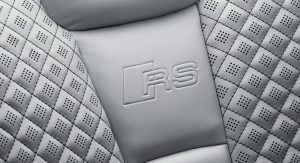 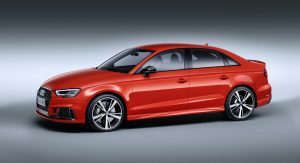 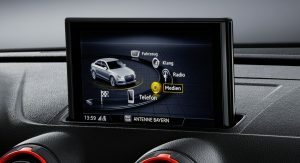 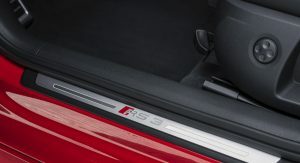 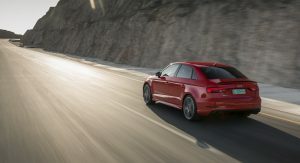 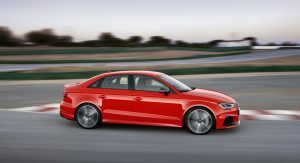 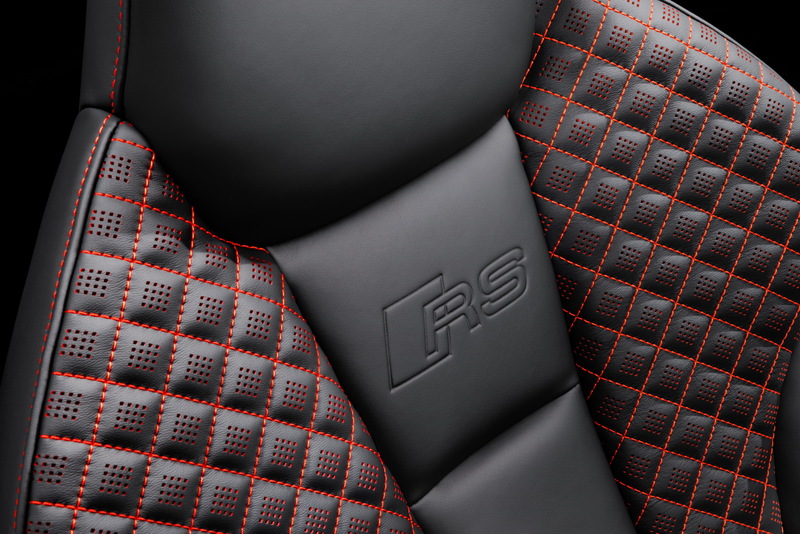 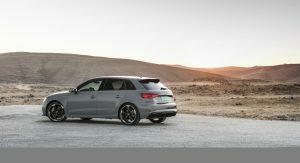 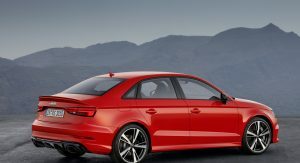 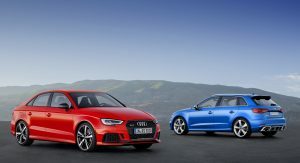 Audi is currently launching the new RS3 in both Sedan and Sportback forms, with a new gallery fresh off the press event. 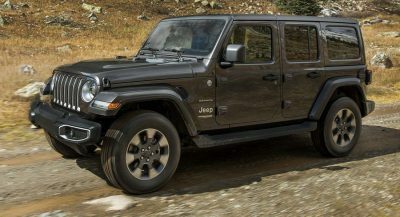 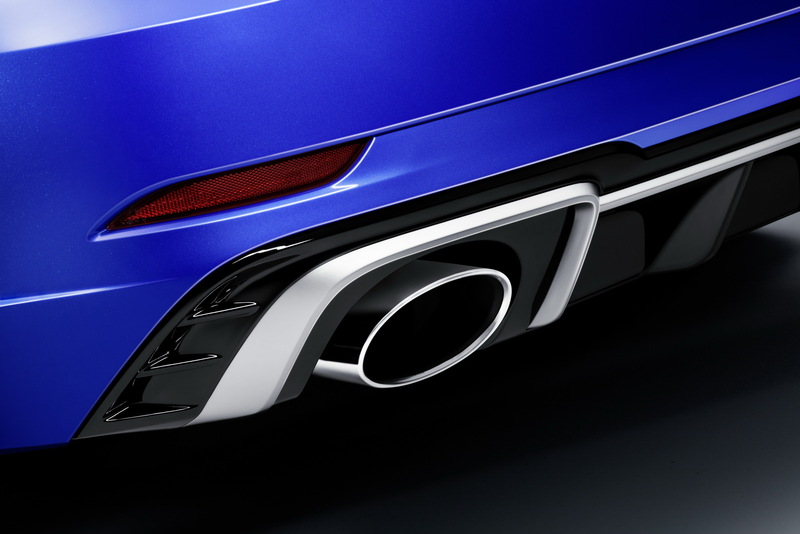 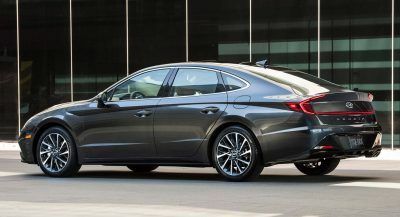 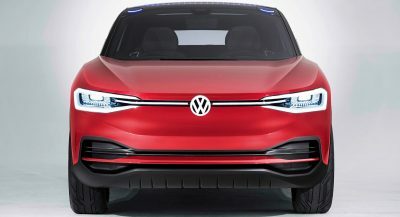 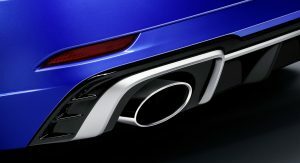 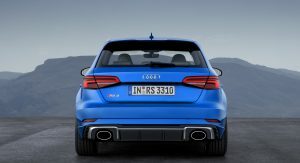 The biggest highlight of the new version is of course that five-cylinder engine which has been updated beyond what the slightly increased numbers might reveal. 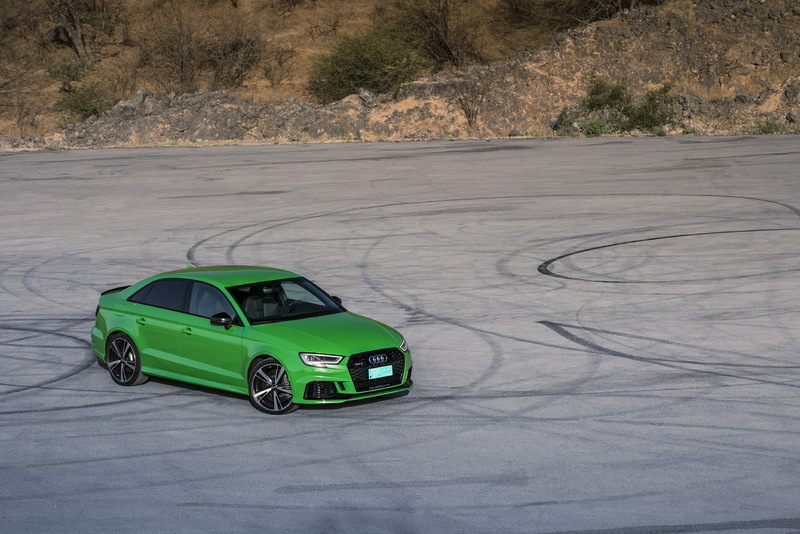 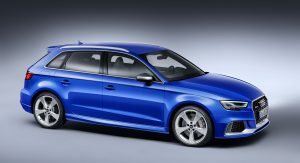 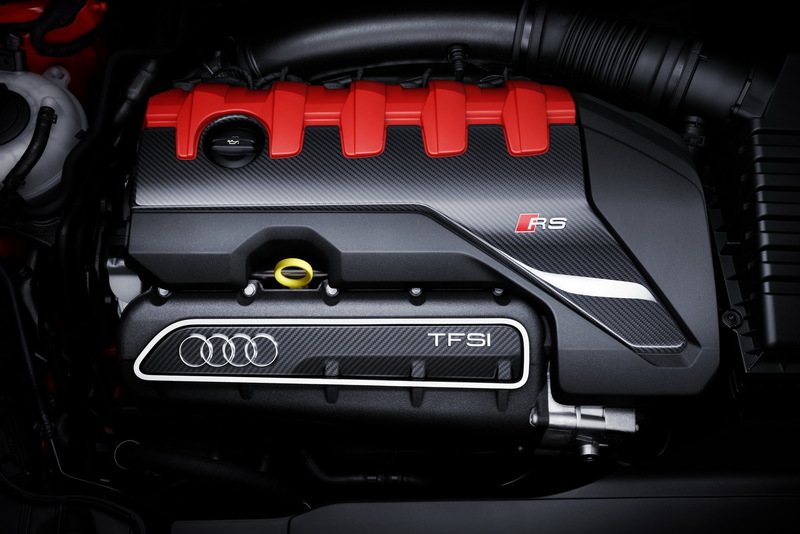 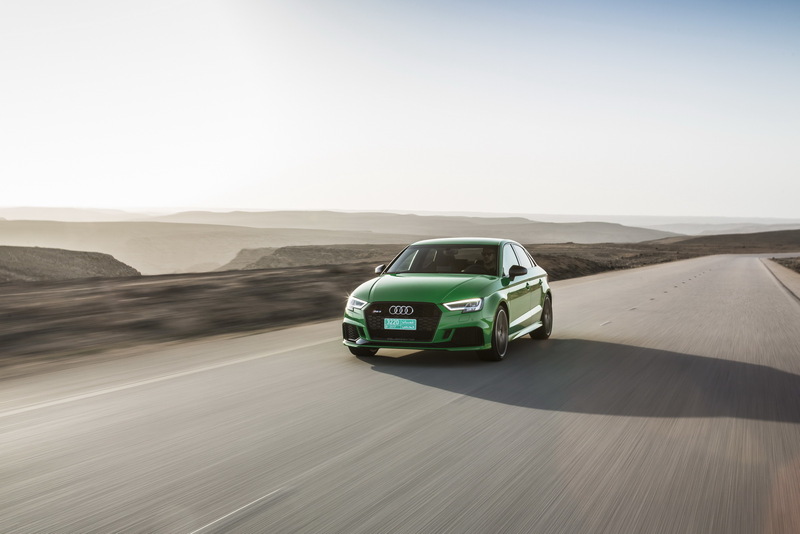 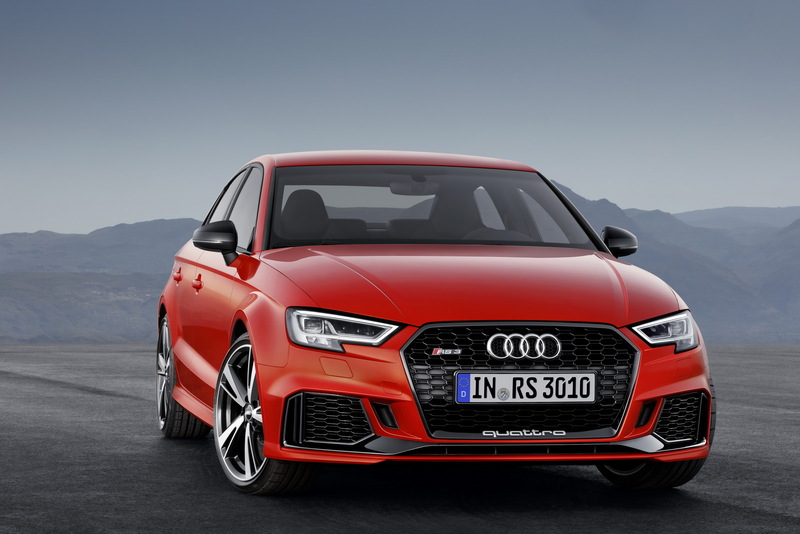 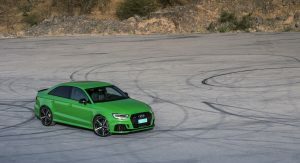 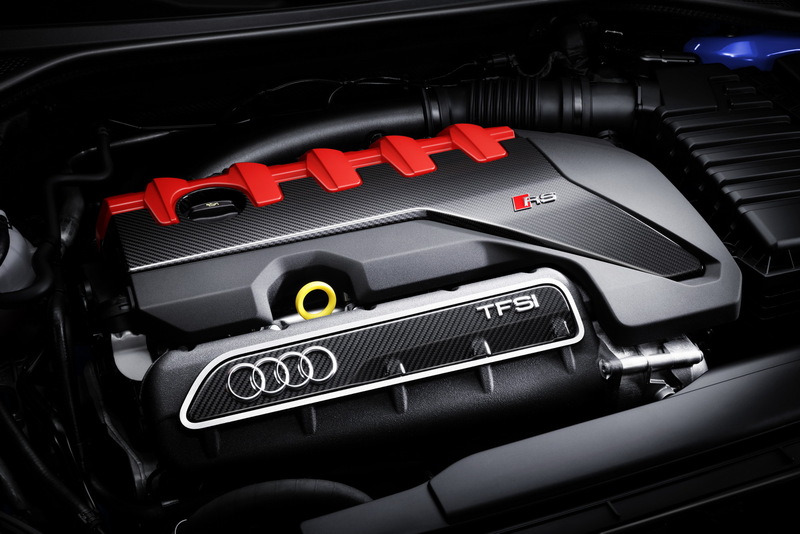 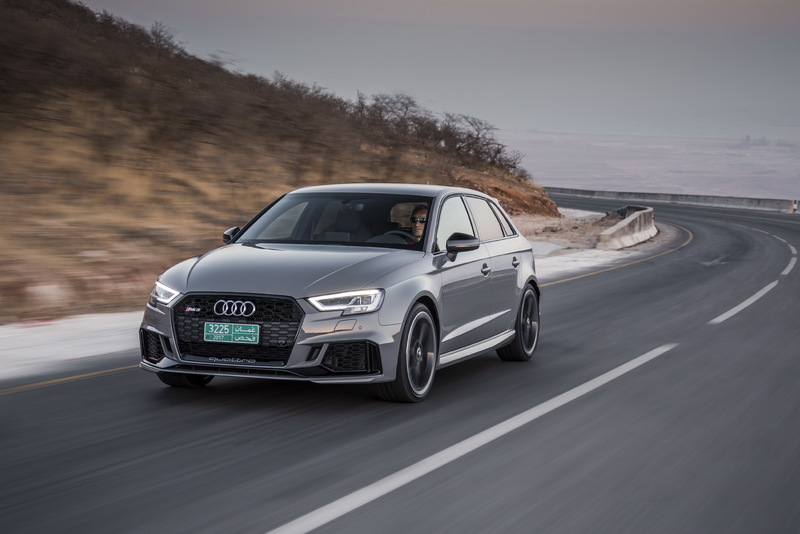 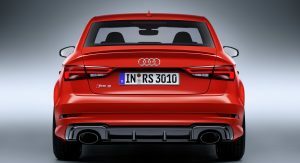 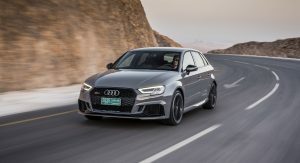 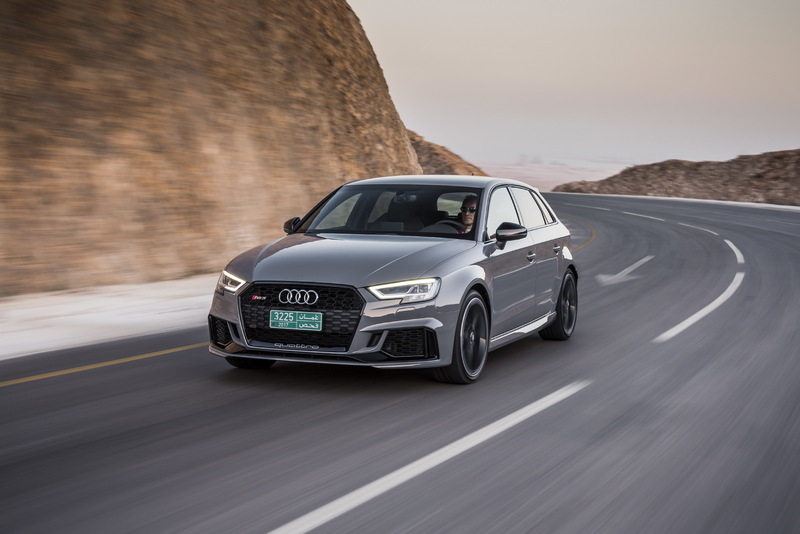 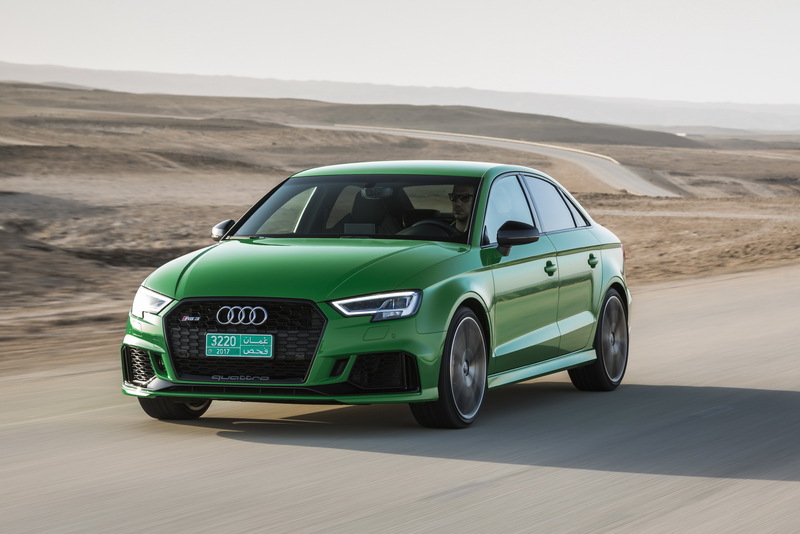 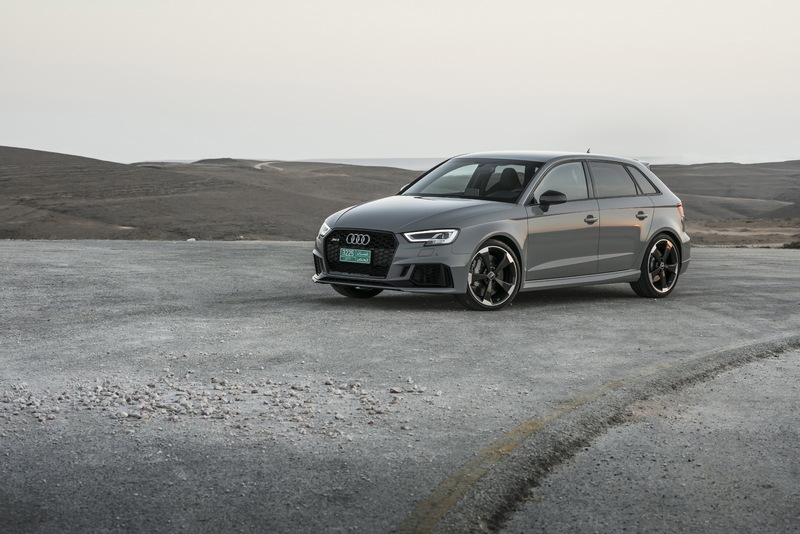 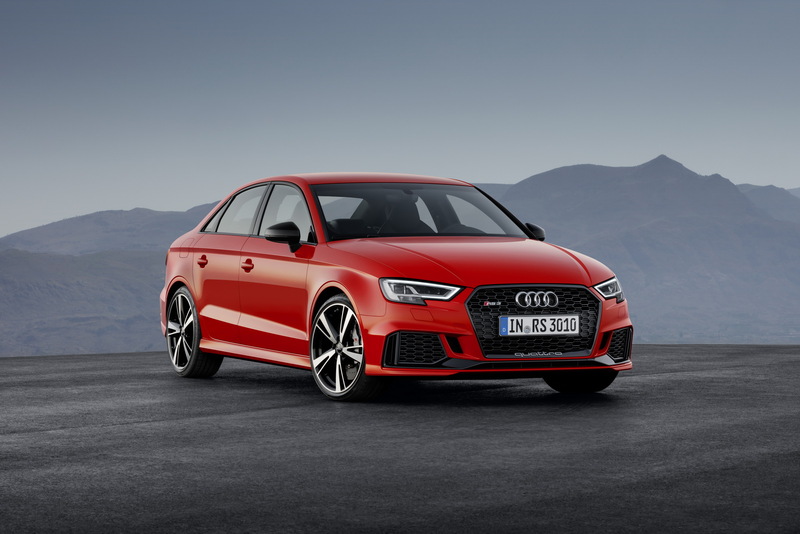 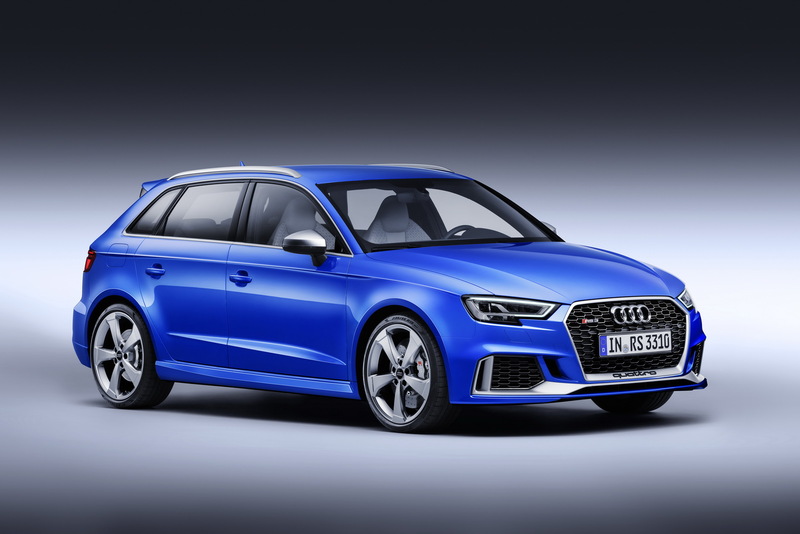 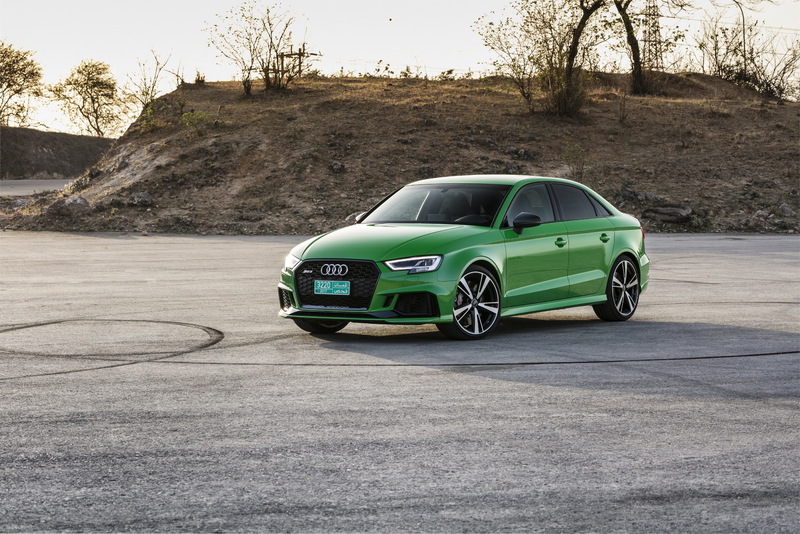 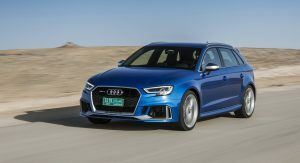 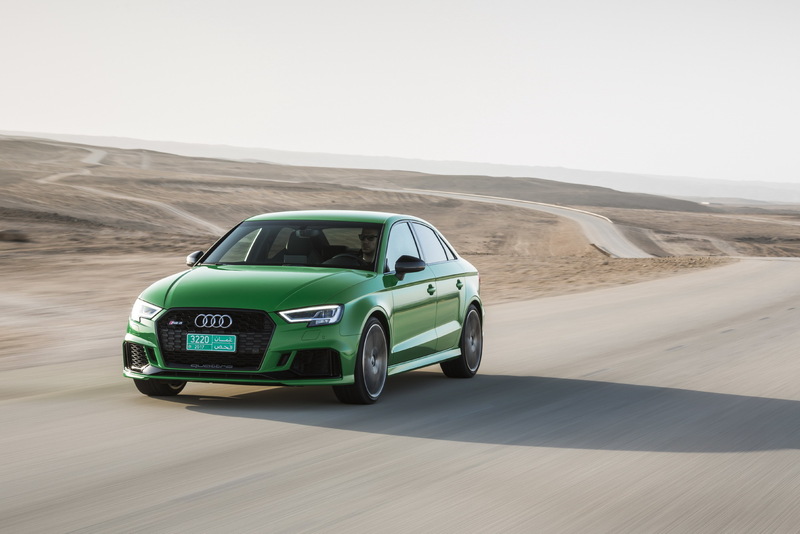 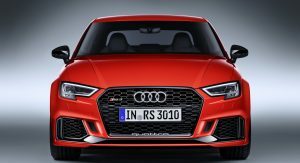 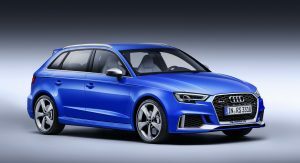 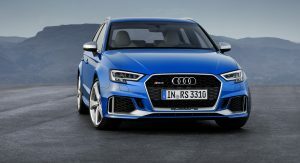 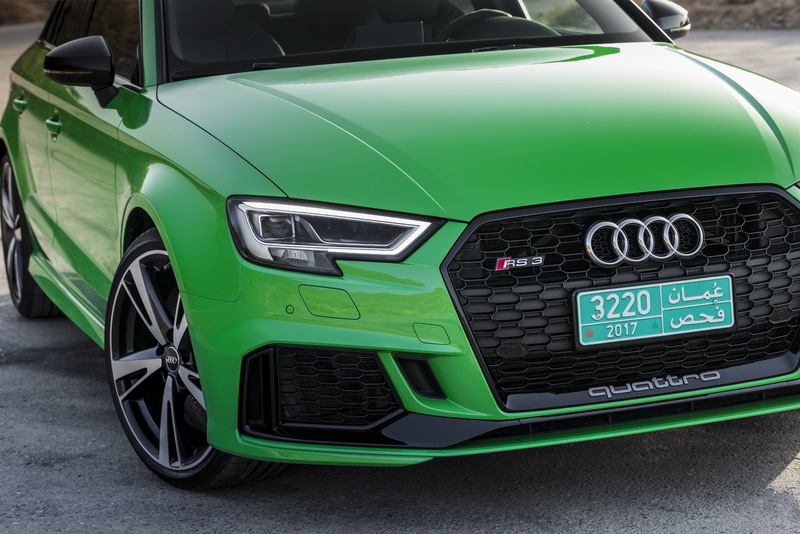 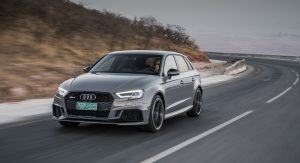 The updated turbocharged 2.5-litre five-cylinder engine now makes 400PS (395 hp) and 354 lb-ft (480 Nm) of peak torque, making the new Audi RS3 one really seriously powerful car for its size. 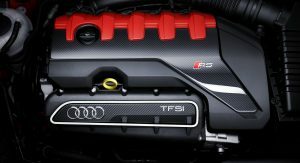 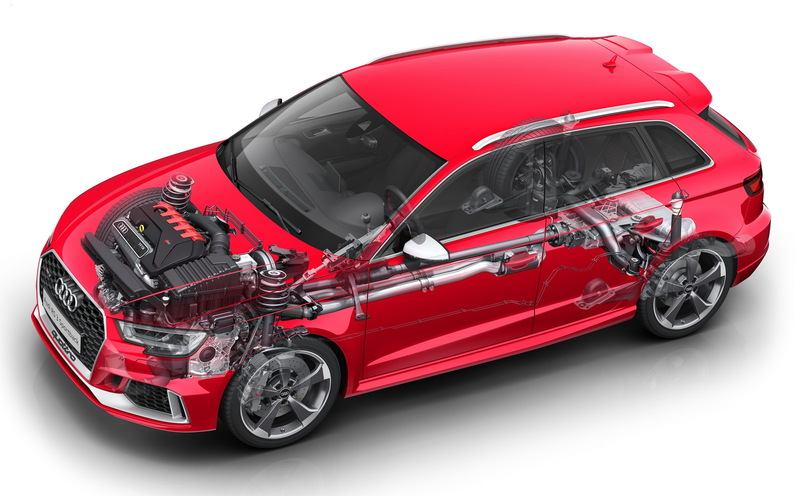 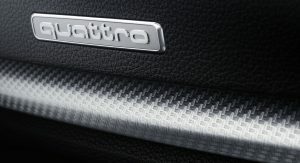 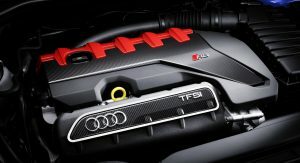 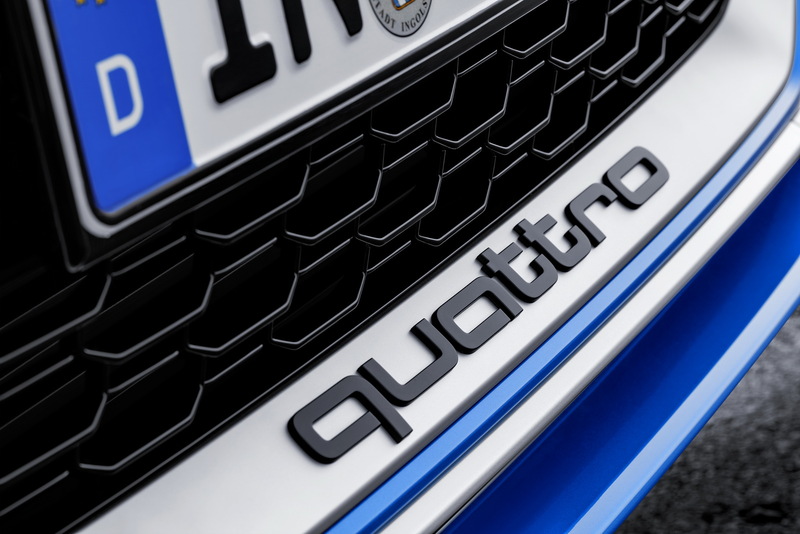 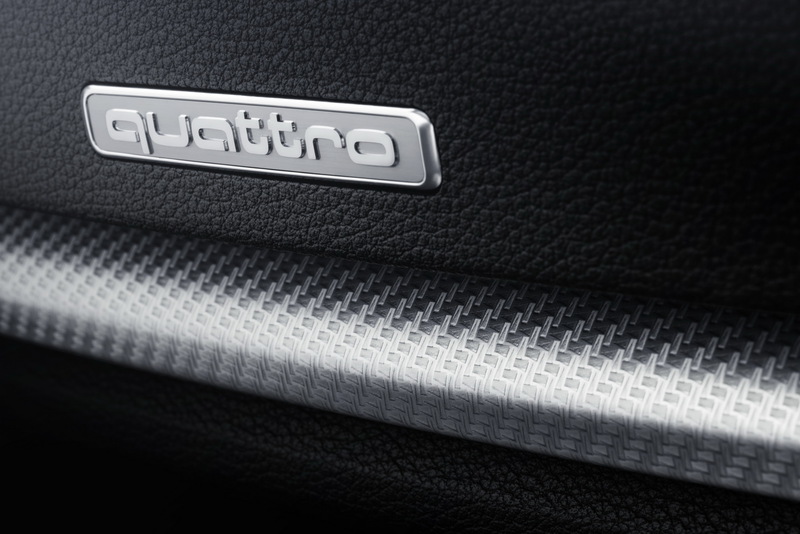 But the changes run deeper than the increased output figures might suggest, as Audi has also made the engine 26kg (57.3 lb) lighter as well, further improving the model’s power-to-weight ratio. 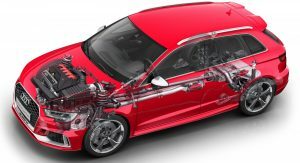 The crankcase is now made from aluminum, instead of compacted graphite iron, the cylinder barrels are plasma-coated, the crankshaft is hollow bored while the aluminum pistons now get integrated channels for oil cooling. 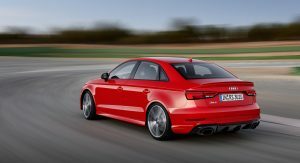 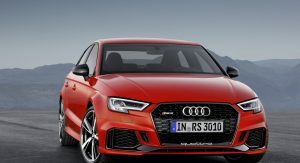 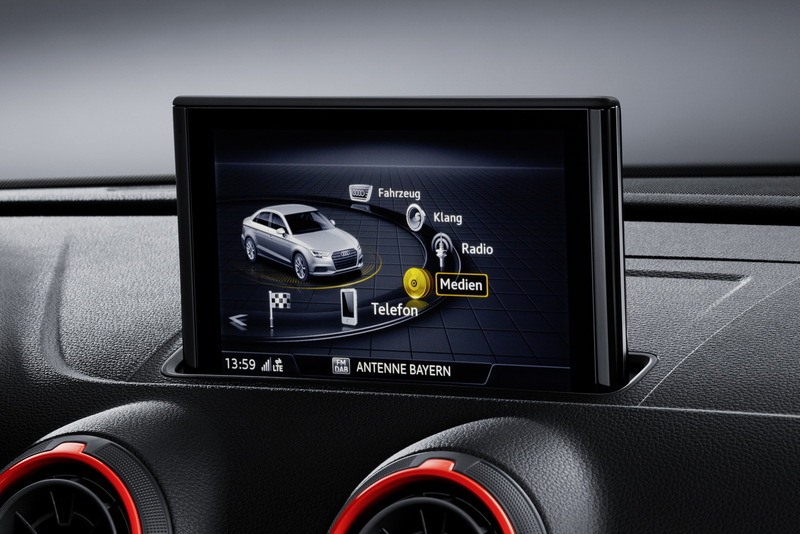 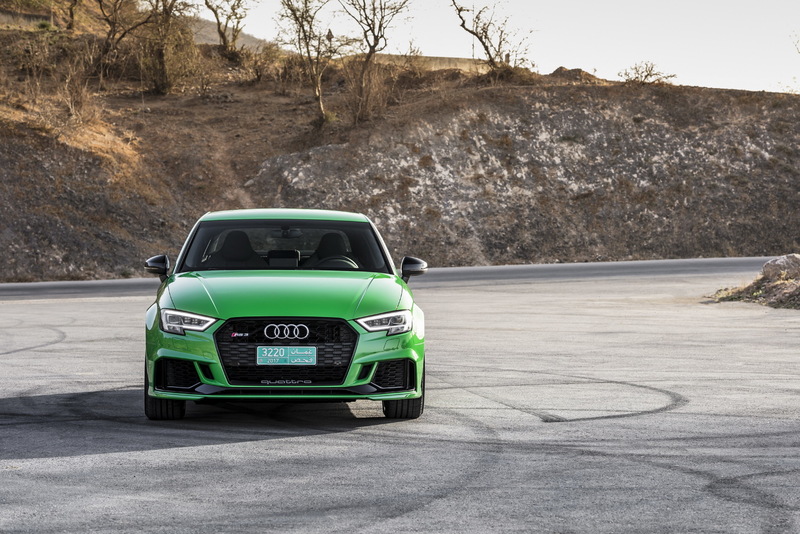 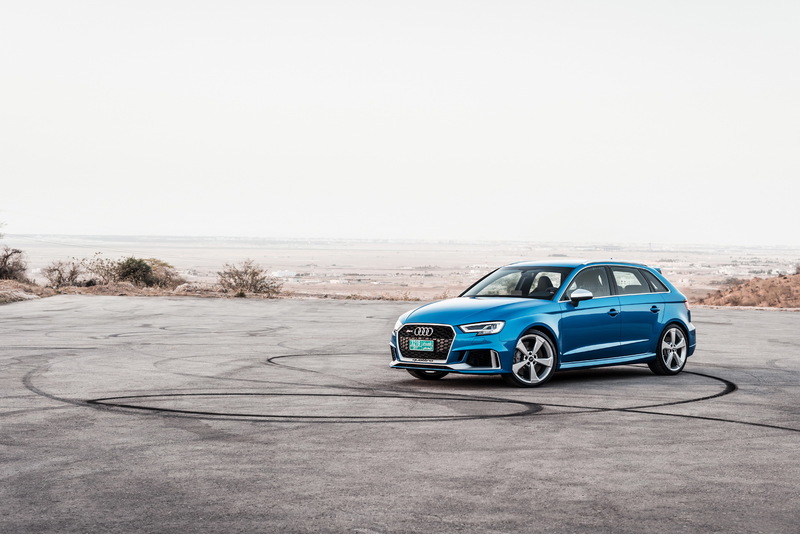 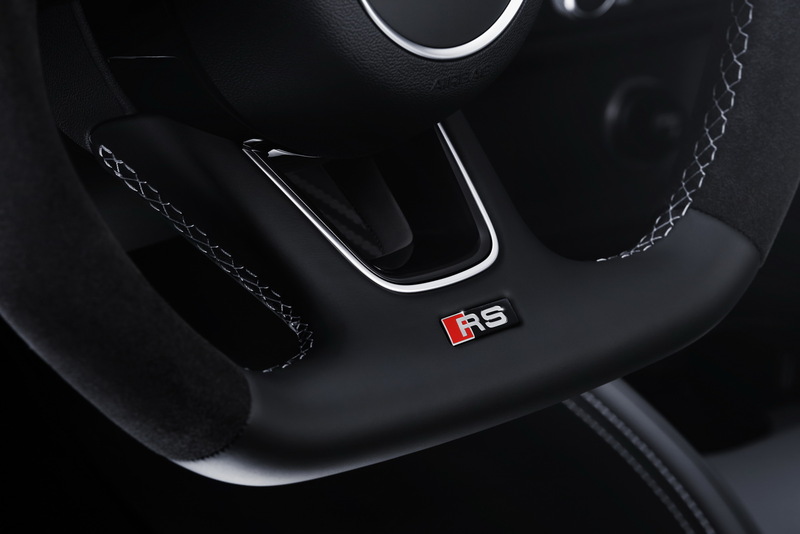 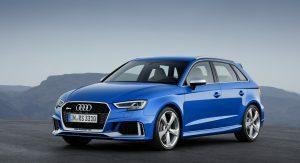 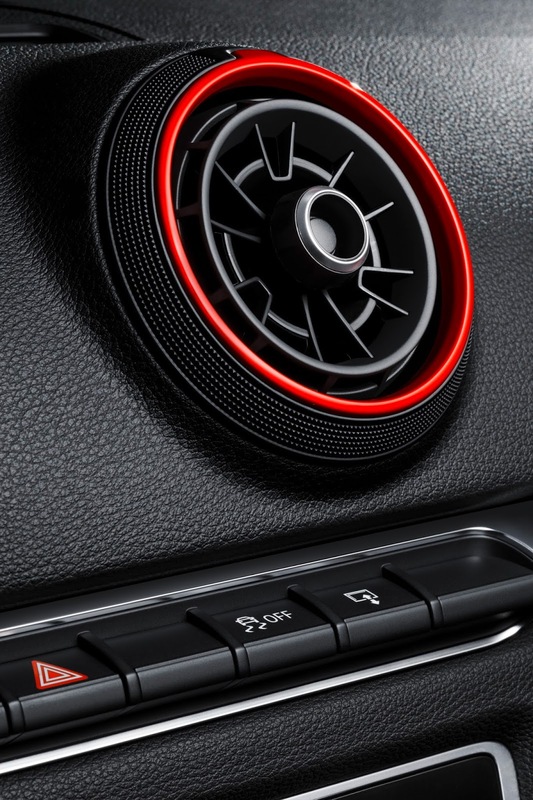 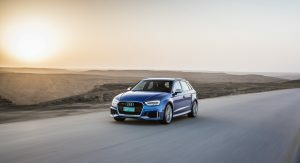 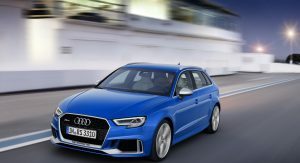 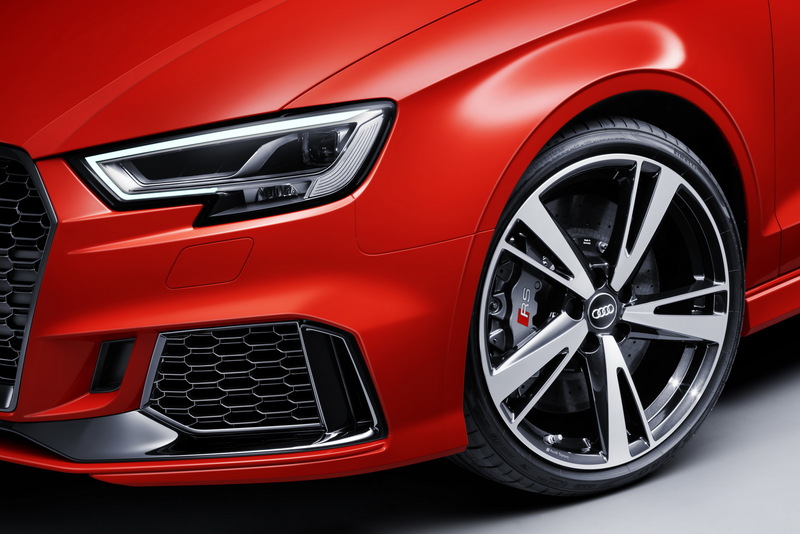 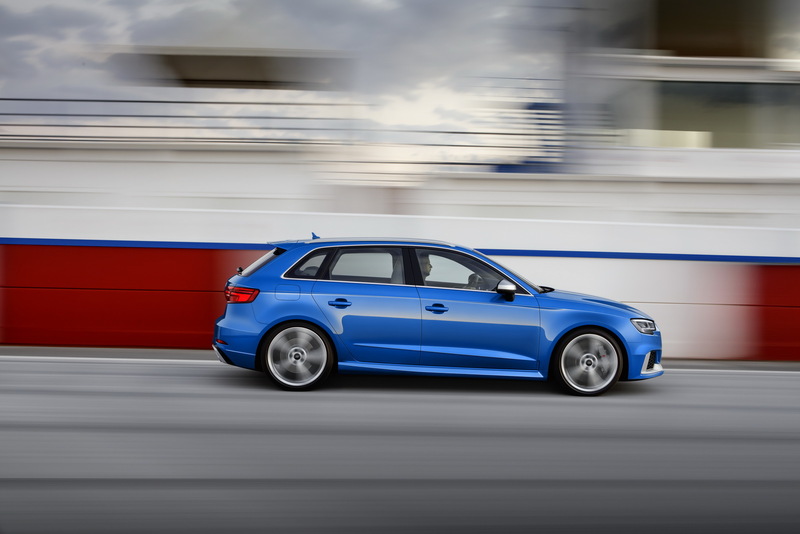 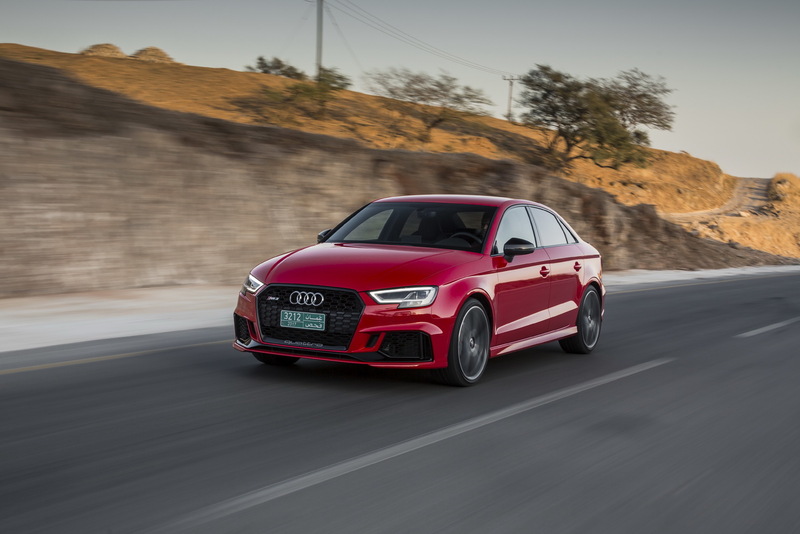 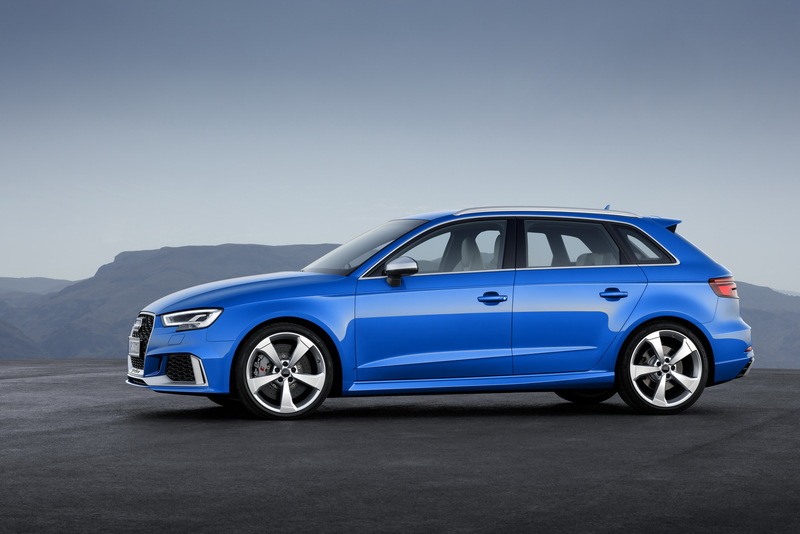 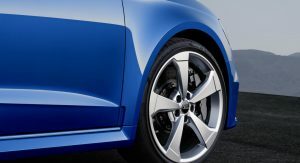 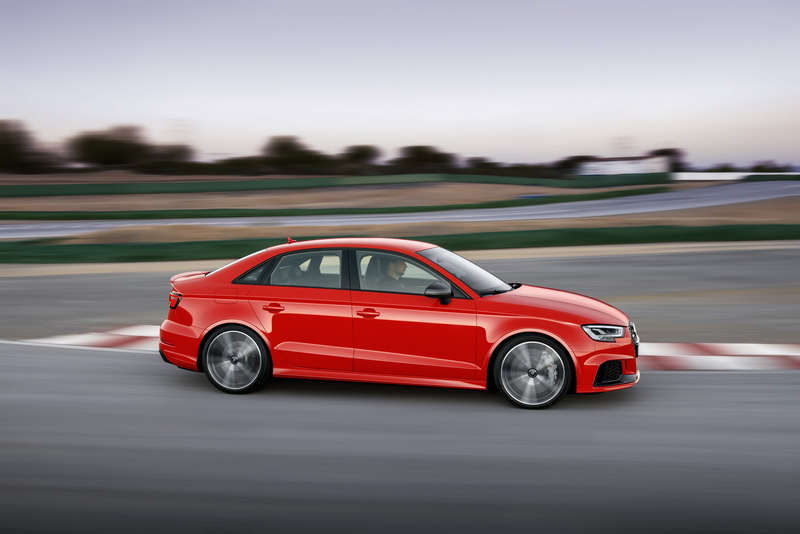 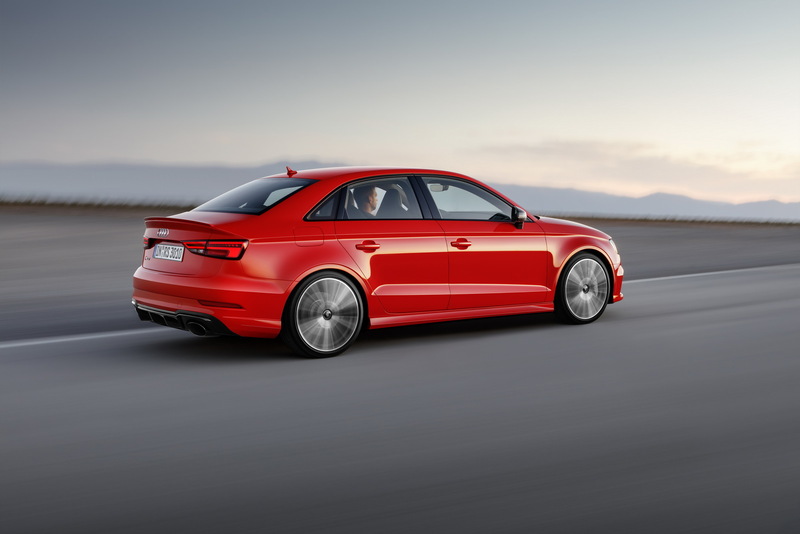 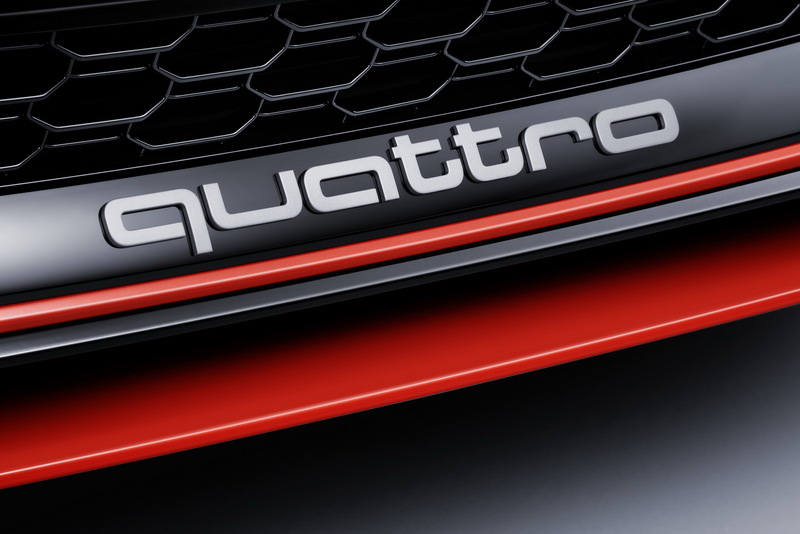 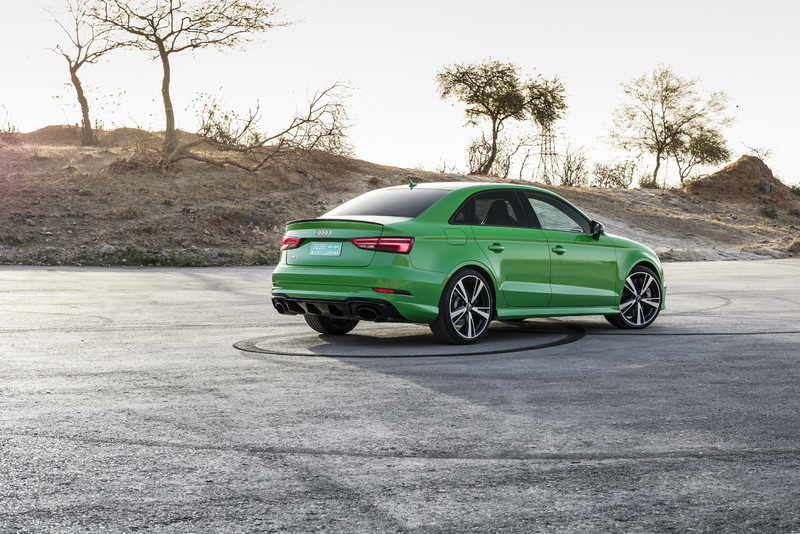 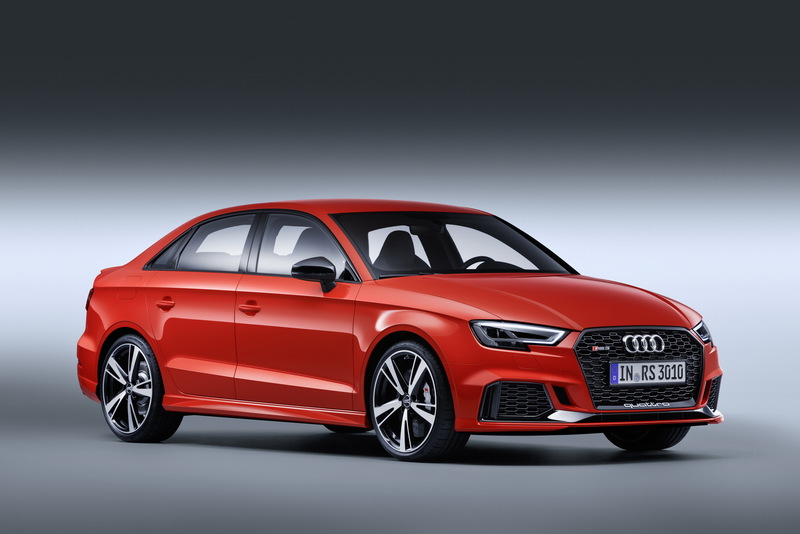 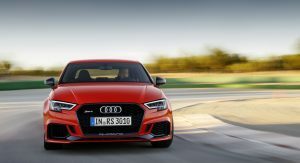 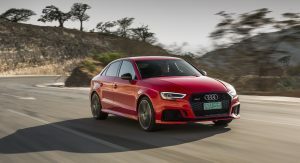 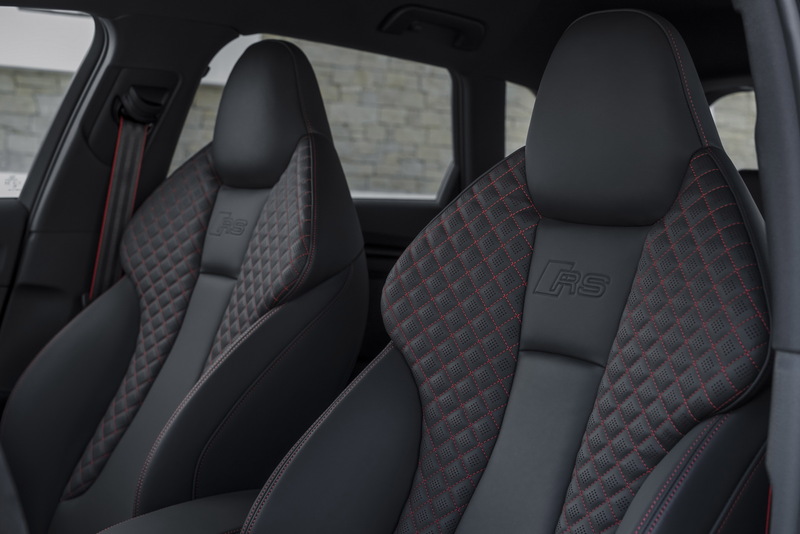 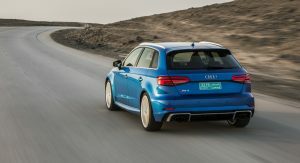 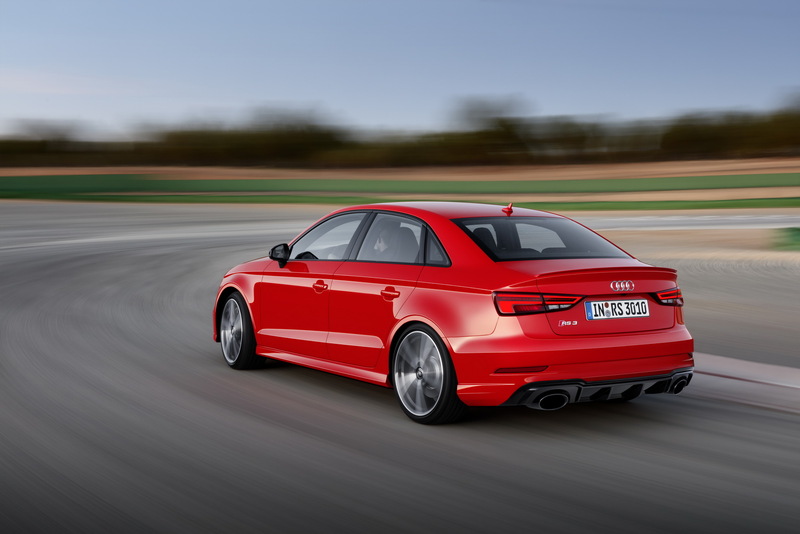 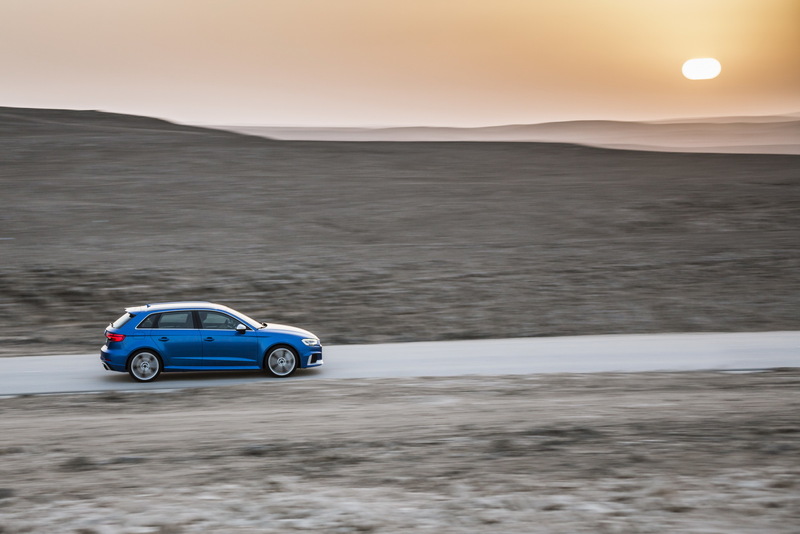 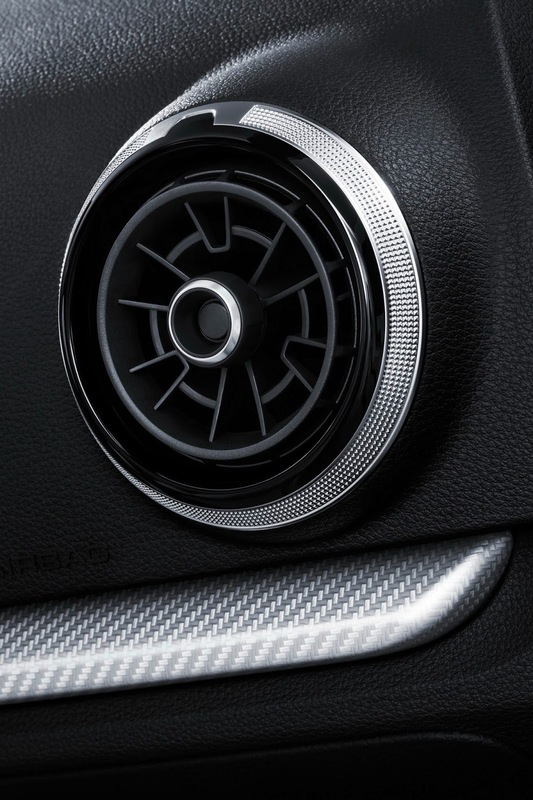 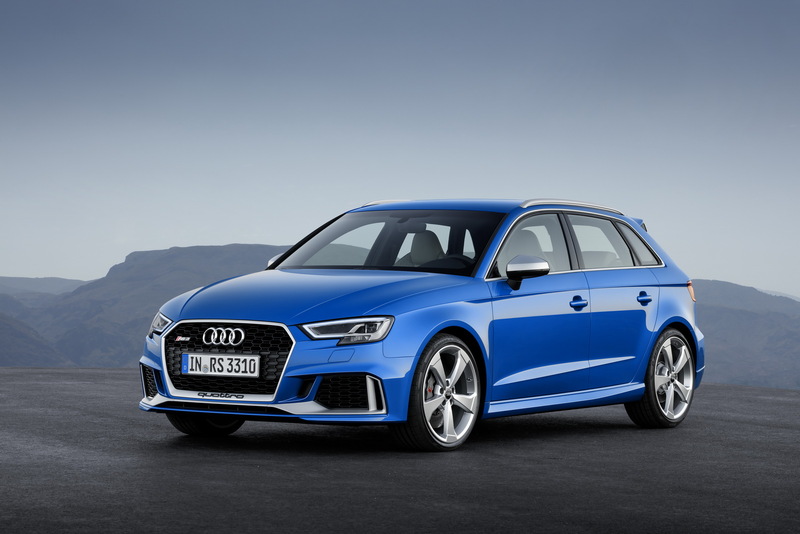 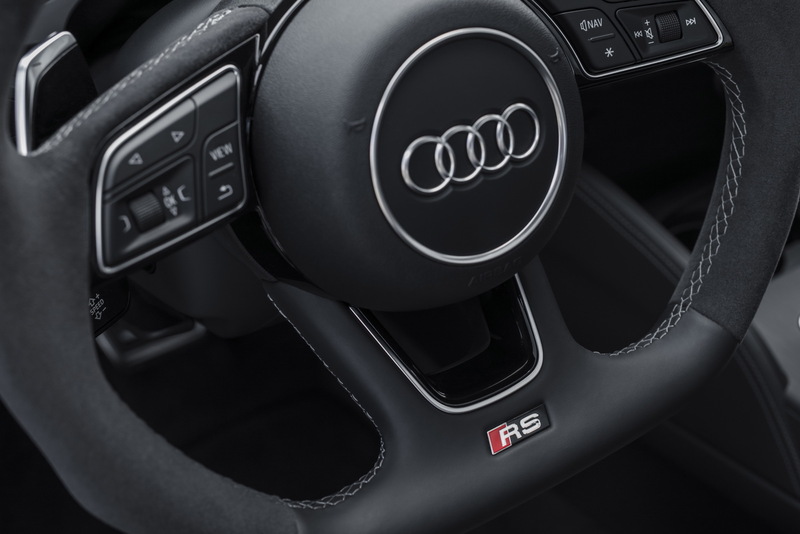 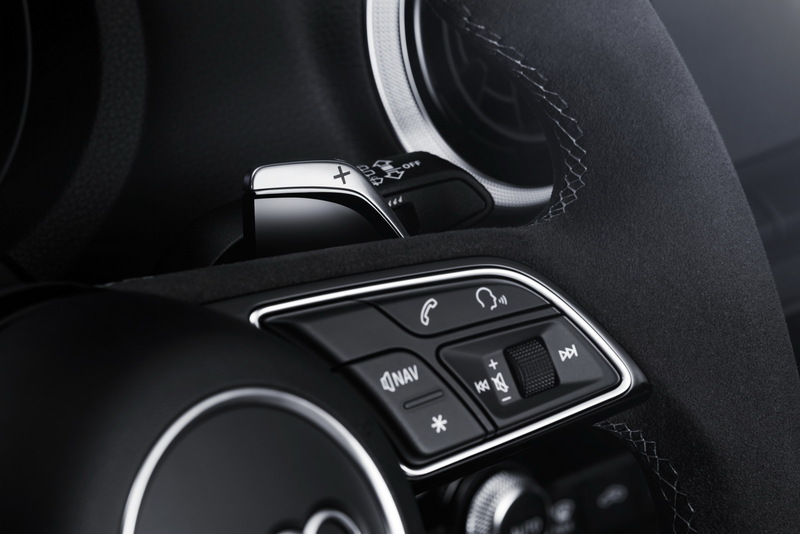 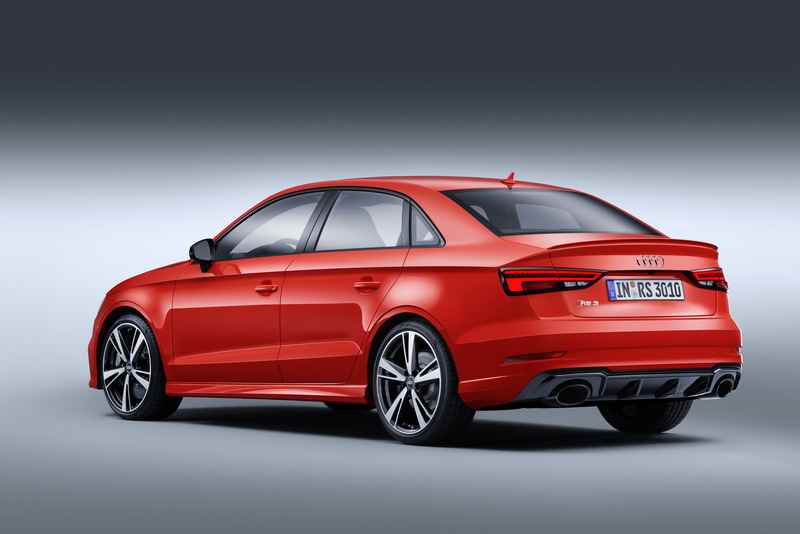 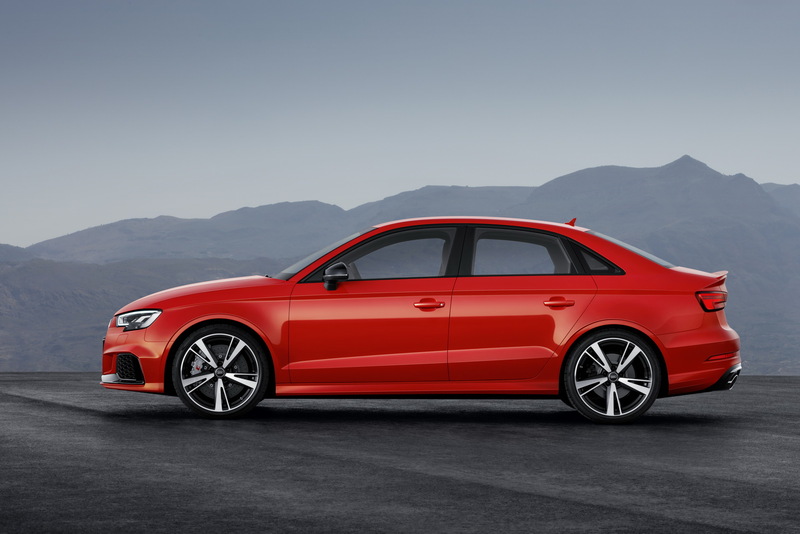 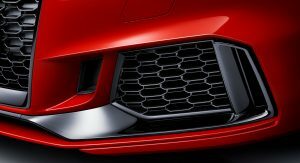 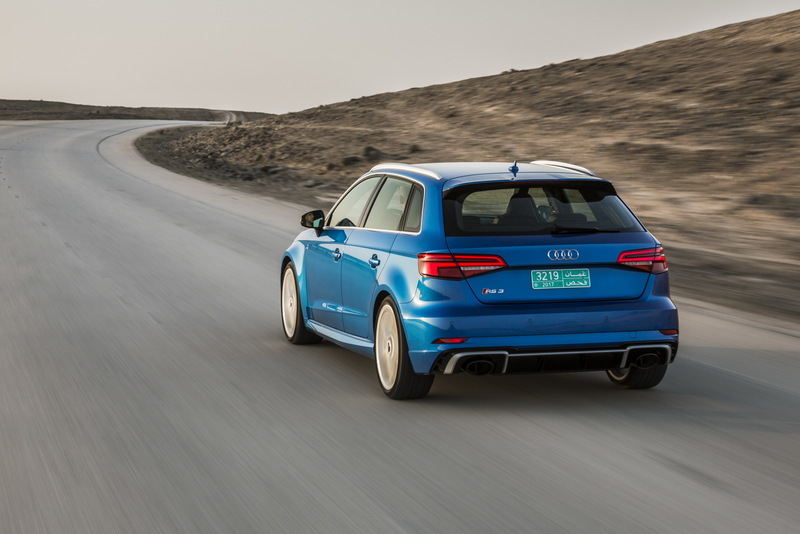 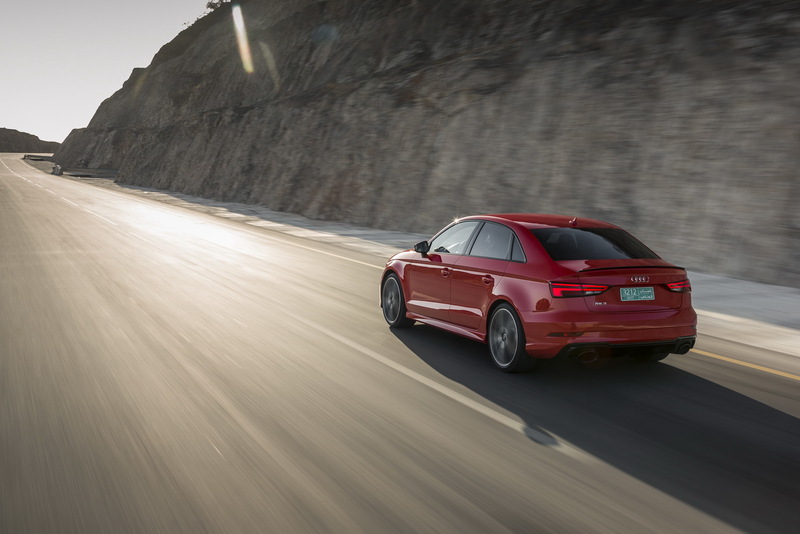 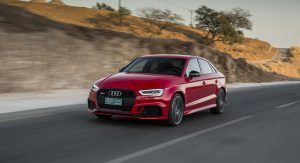 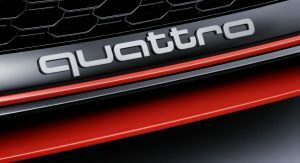 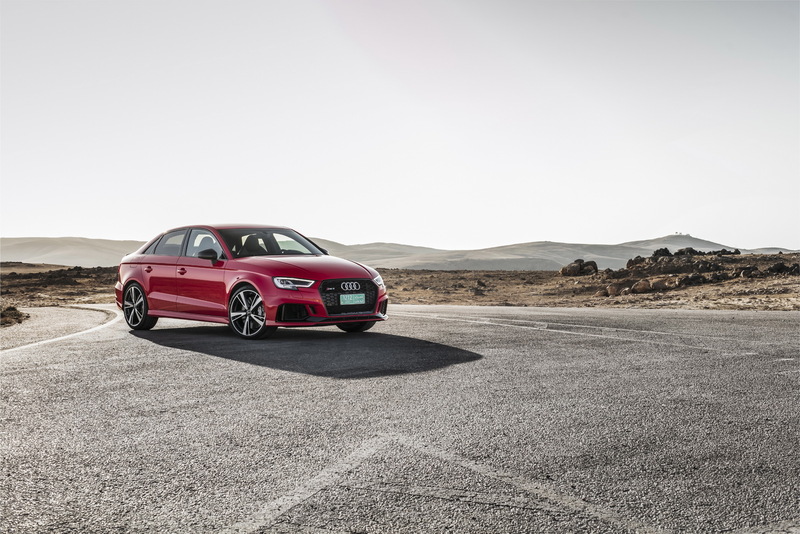 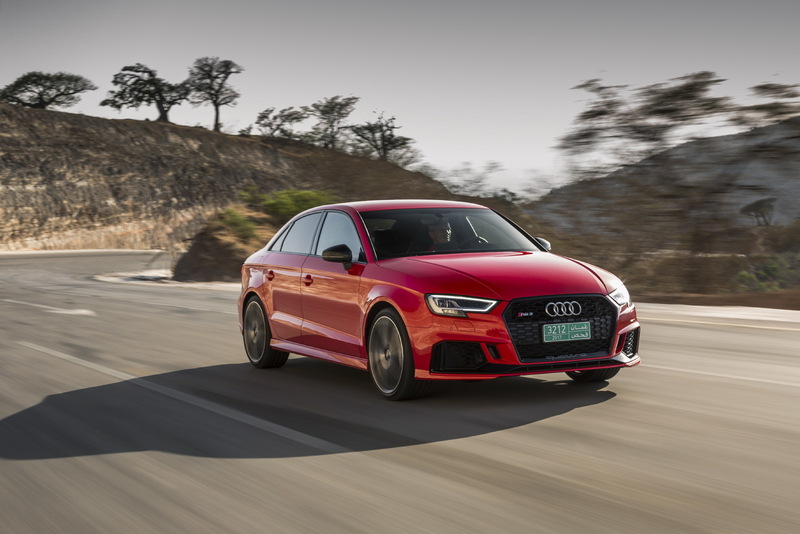 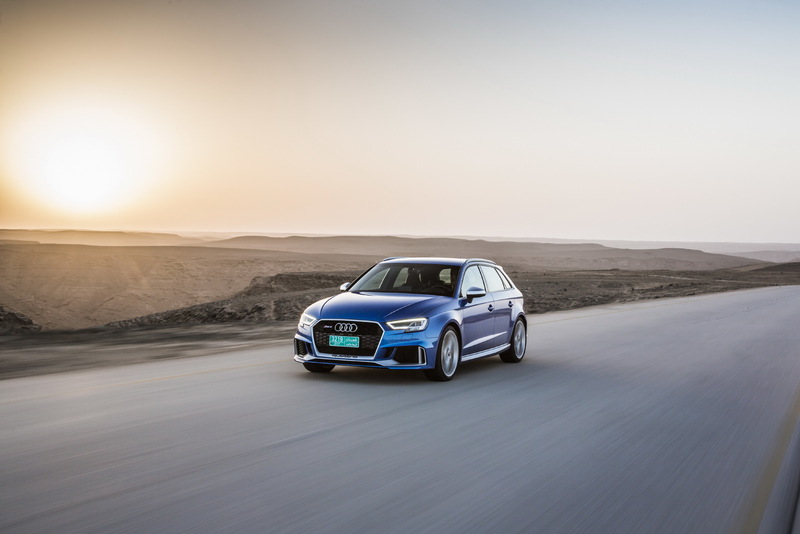 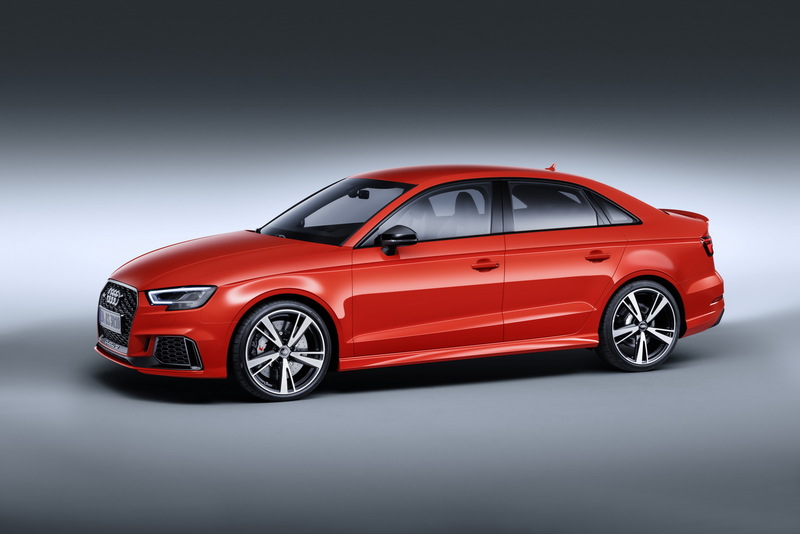 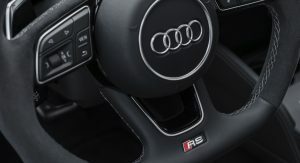 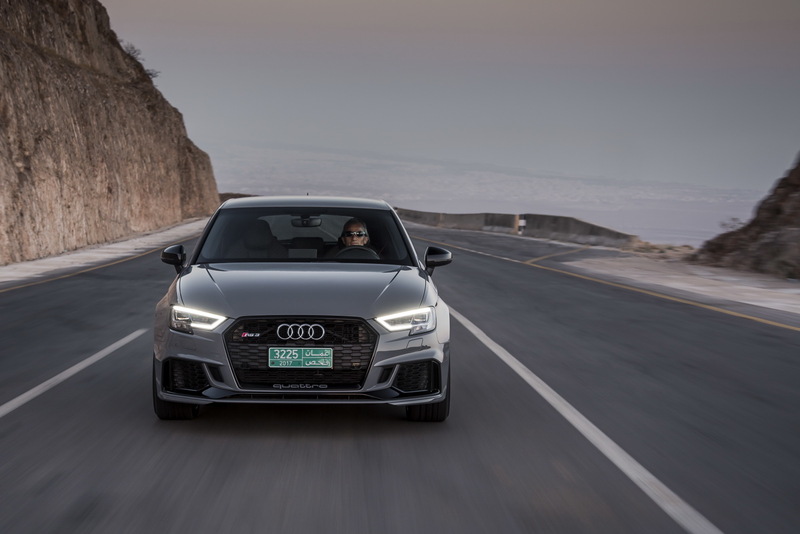 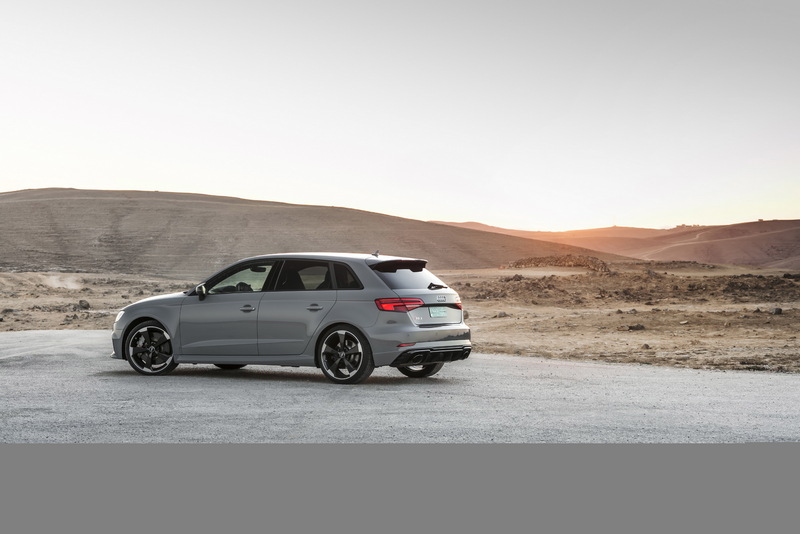 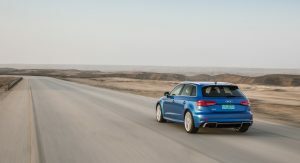 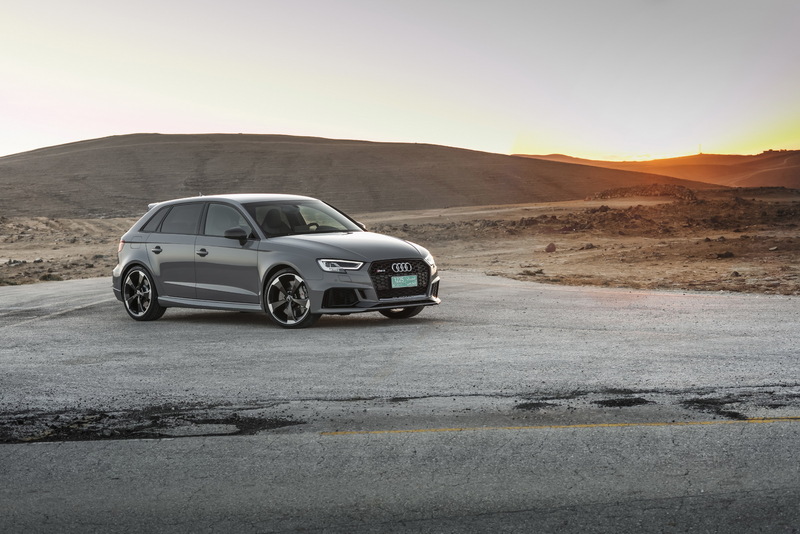 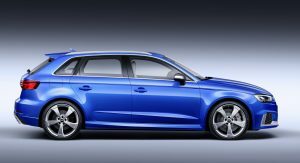 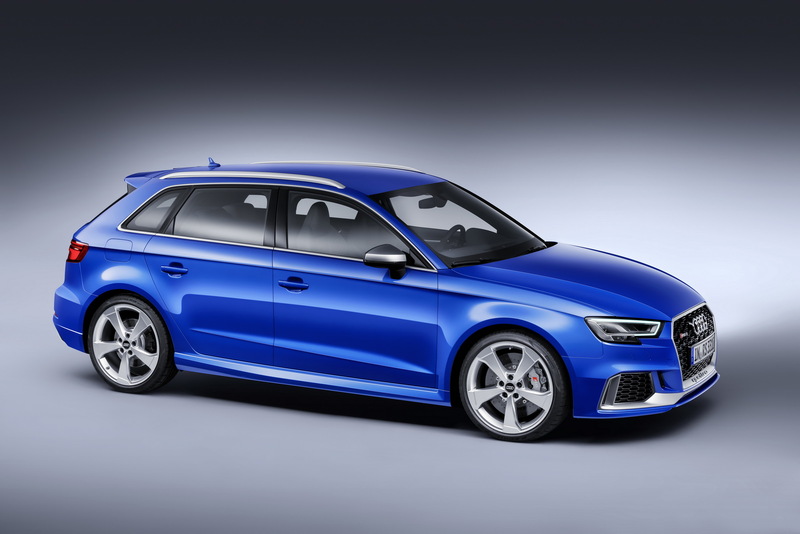 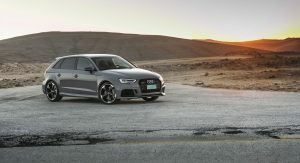 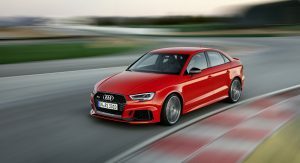 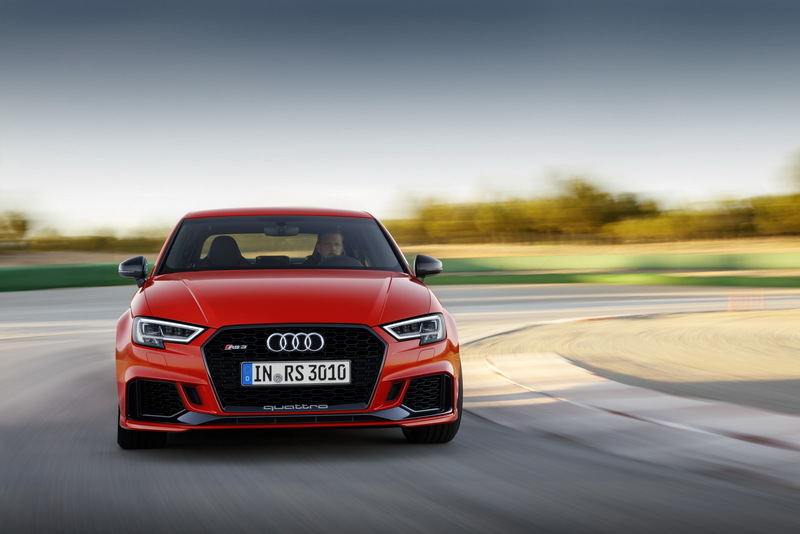 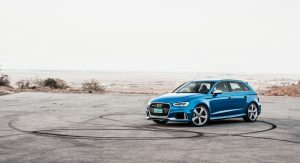 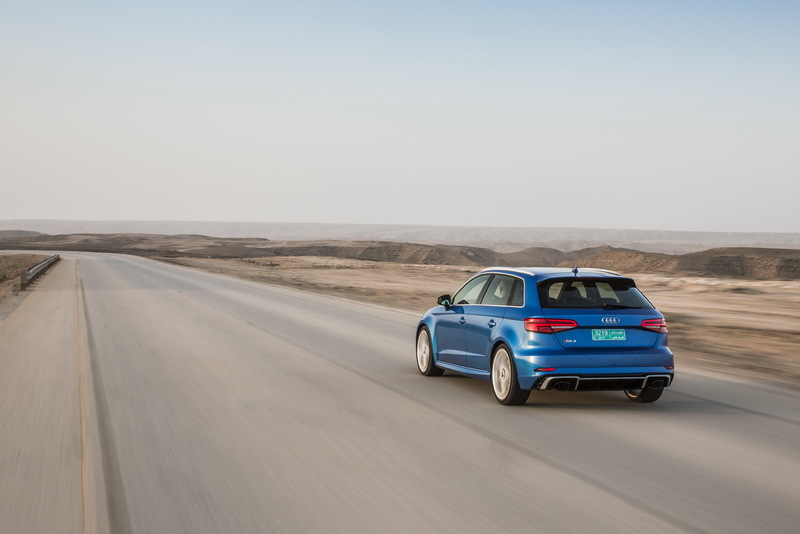 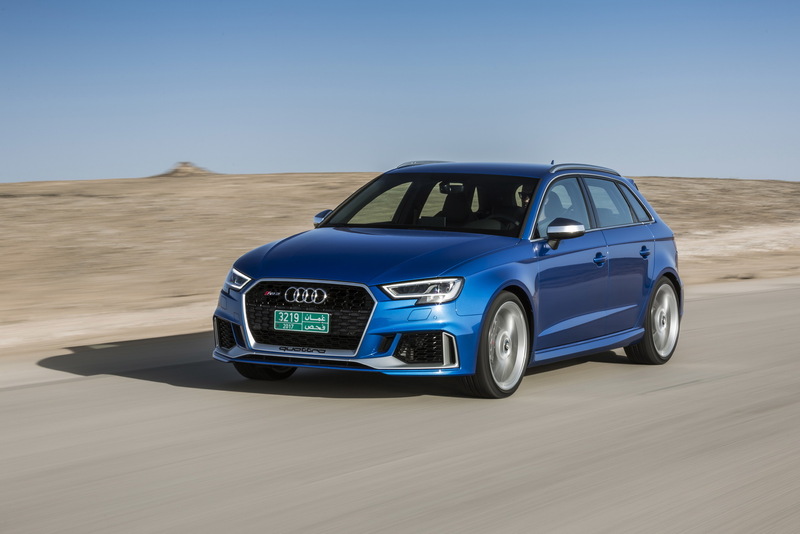 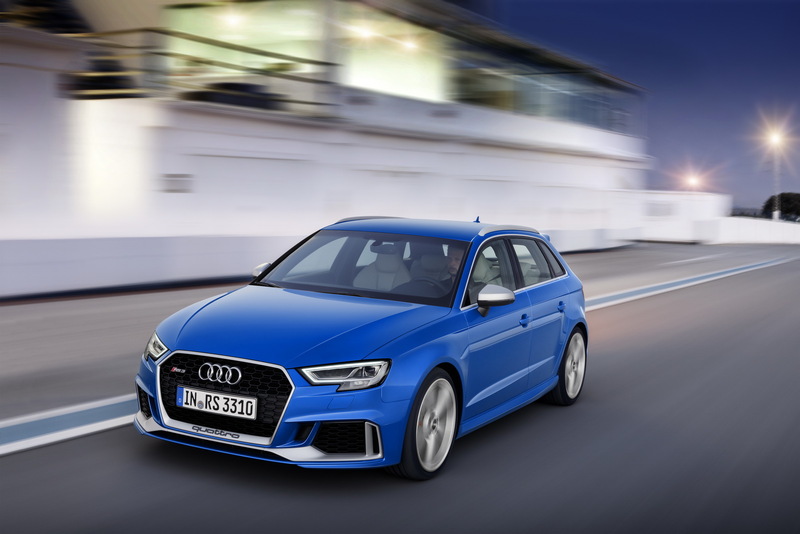 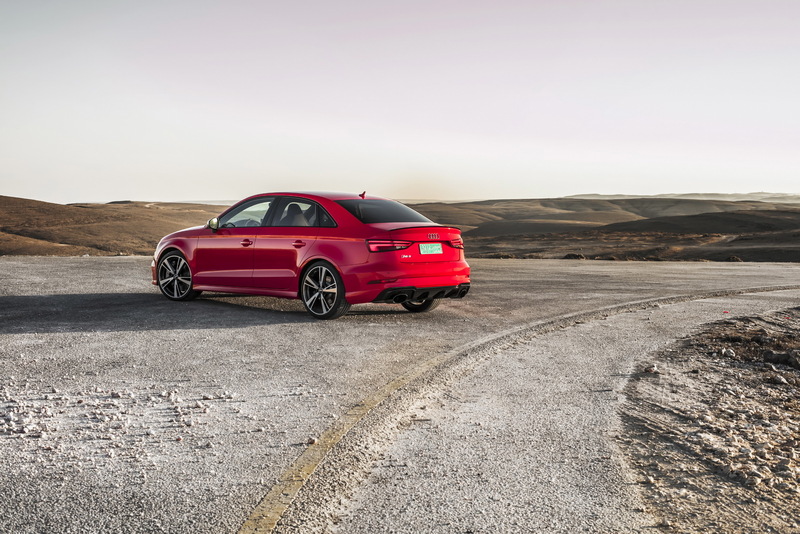 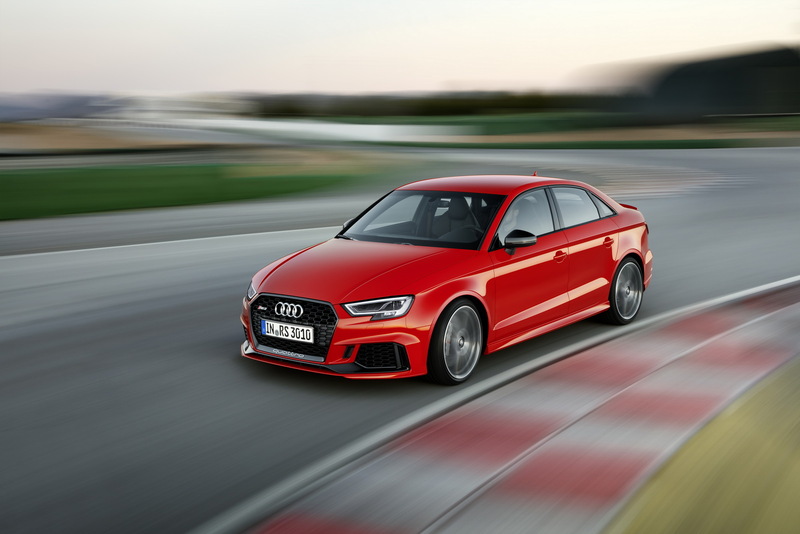 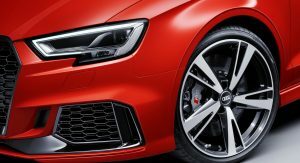 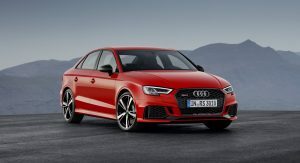 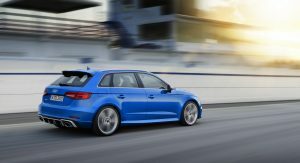 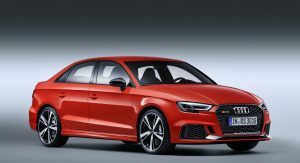 Audi’s new RS3 is now capable of catapulting itself from zero to 62mph (100km/h) in 4.1 seconds, thanks to the permanent Quattro all-wheel drive system and the standard dual-clutch S-Tronic seven-speed transmission. 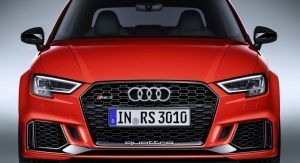 Top speed is limited to 155mph (250km/h) but tick the right box in the options list and the new RS3 will top out at a more impressive 174mph (280km/h). 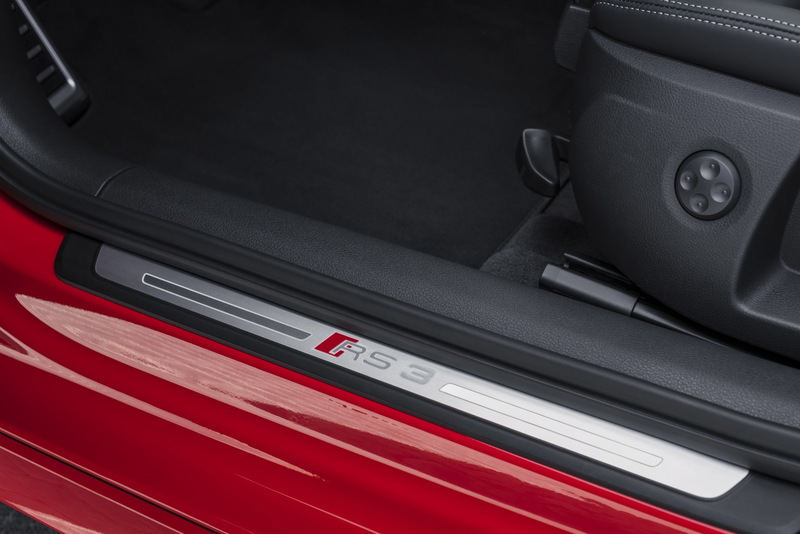 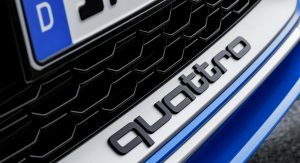 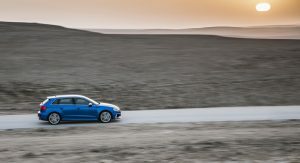 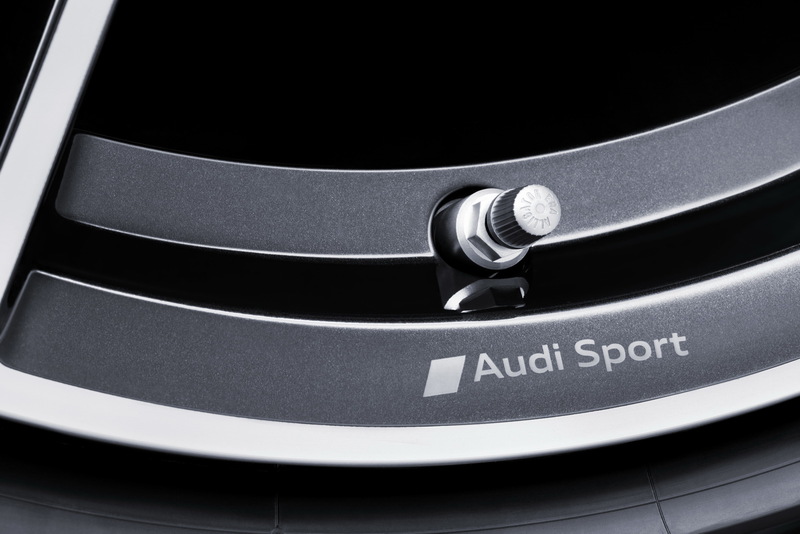 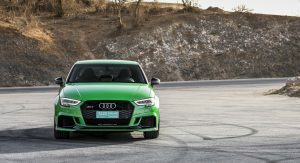 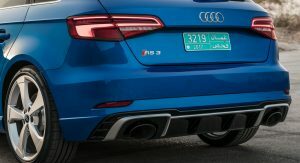 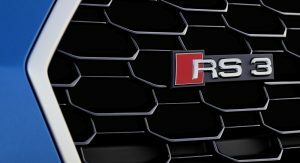 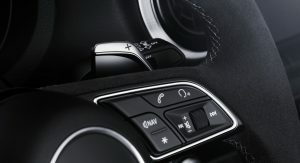 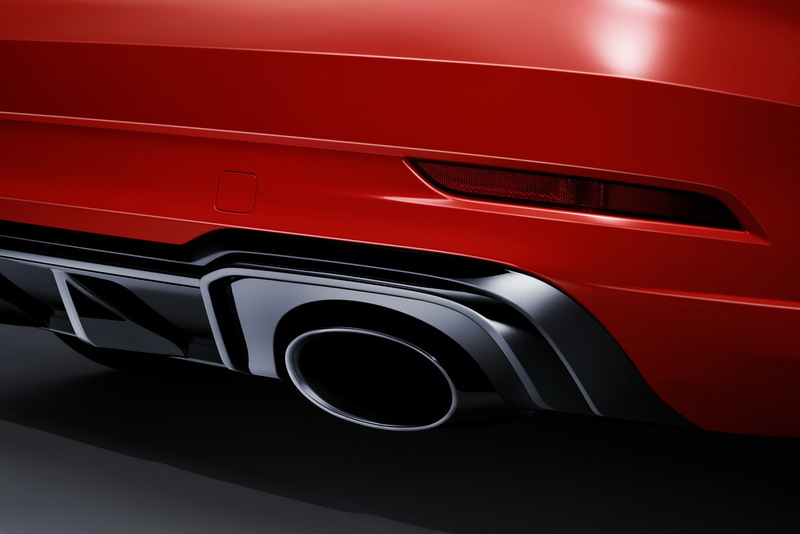 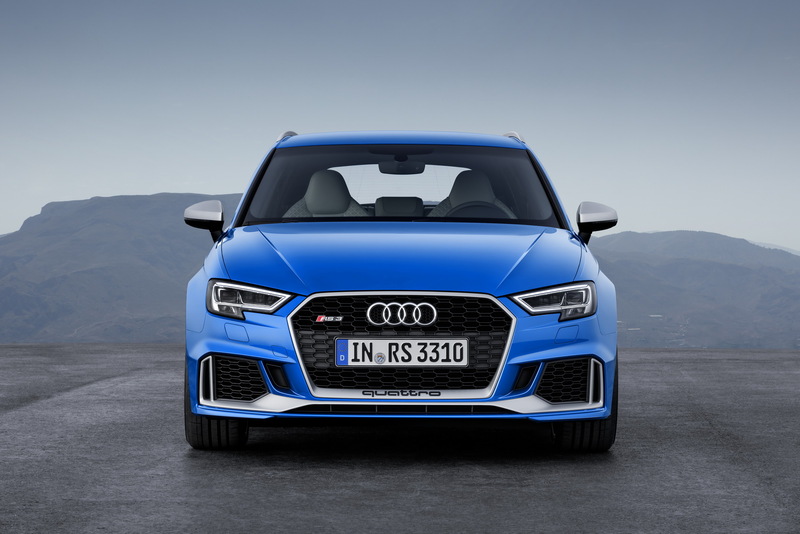 The suspension has also been updated while Audi is also offering as an option the RS Sport Suspension Plus which is a fancy way of how the Germans call their adaptive dampers. 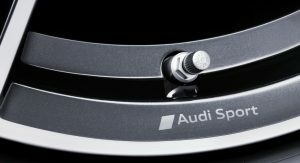 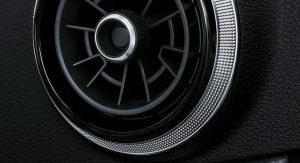 There is even the option of front carbon disc brakes, if you feel like the standard 370mm steel discs are not going to cover your needs. 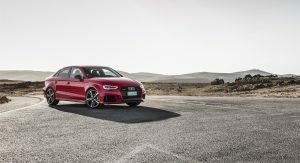 It all sounds very good indeed and if Audi has managed to match the glorious soundtrack of that engine with a proper fun driving character, things will not be that easy for the Mercedes-AMG A45. 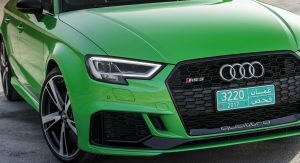 that green color is from audi individual? 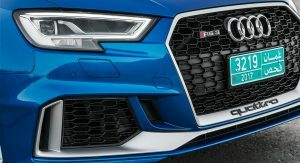 400hp for that little box? 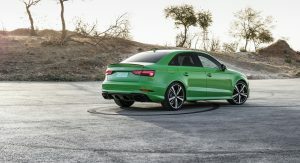 Holy powah..
of all colors….green, really?? 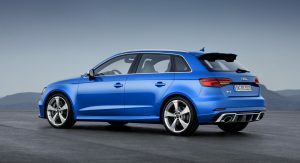 GMG inspired?! 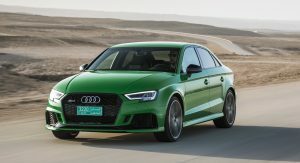 well,at least green is not like saudi arabian flag but lighter. 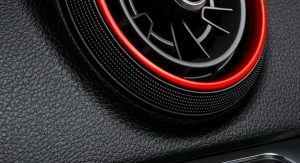 There are a “few” problems with your comment. 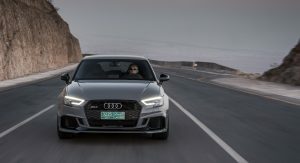 What’s the problems with the comment?? 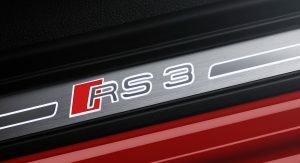 The RS4 sedan that we once had back in 2006-08 was the last and we didn’t get the next one for obvious reasons. 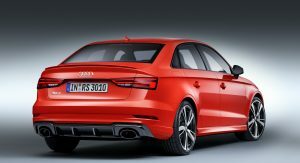 So what’s wrong with the RS3 sedan replacing the spot the 4 had? 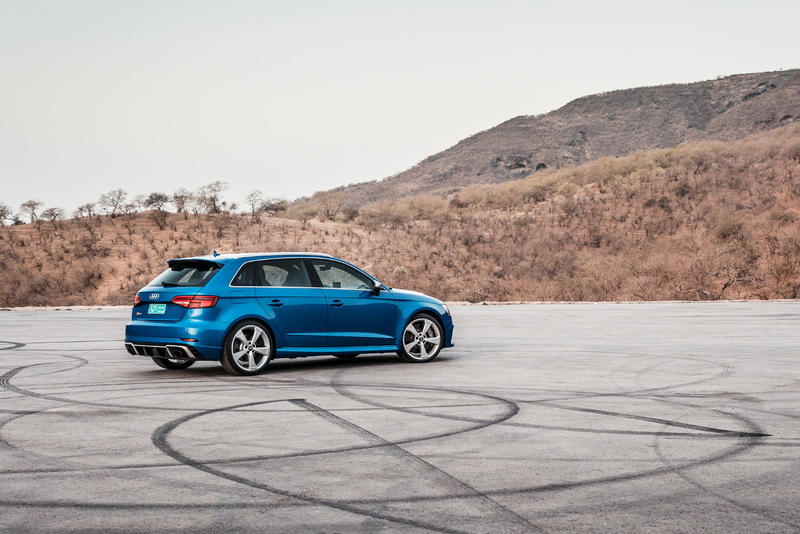 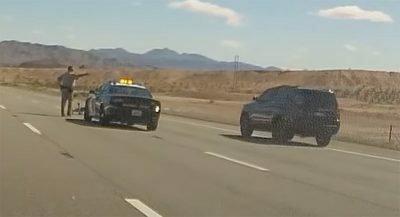 The RS4 fought the M3 when it was alive. 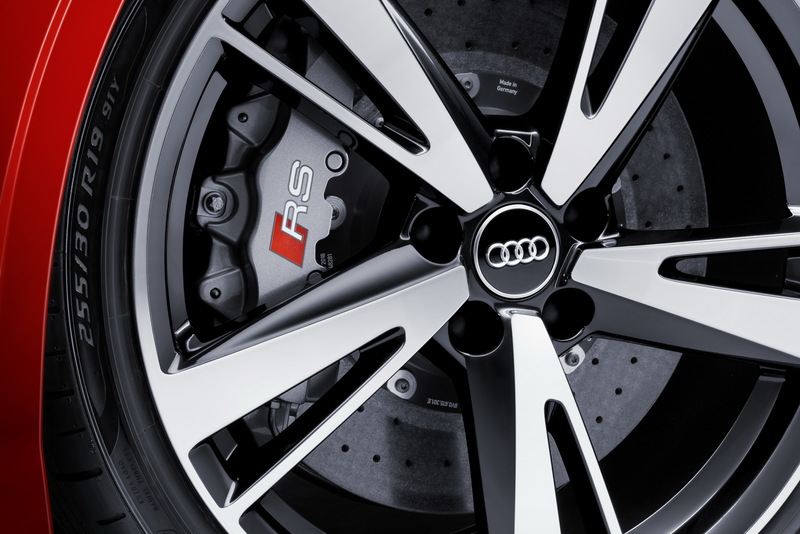 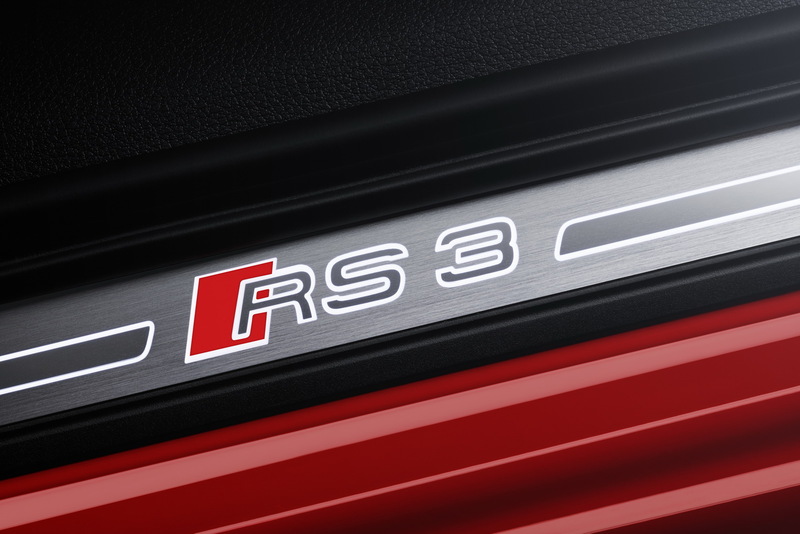 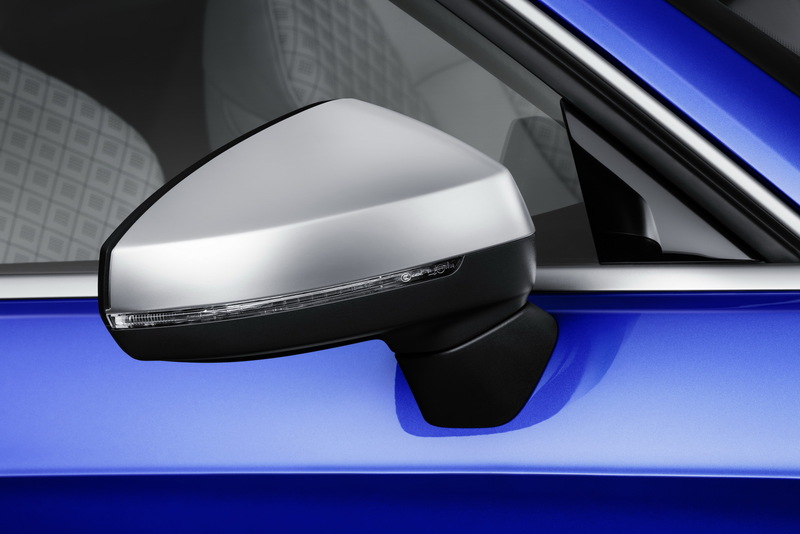 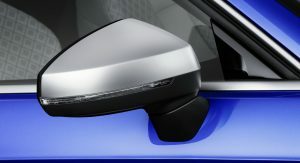 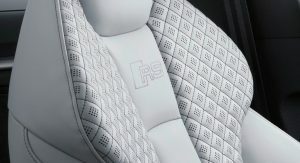 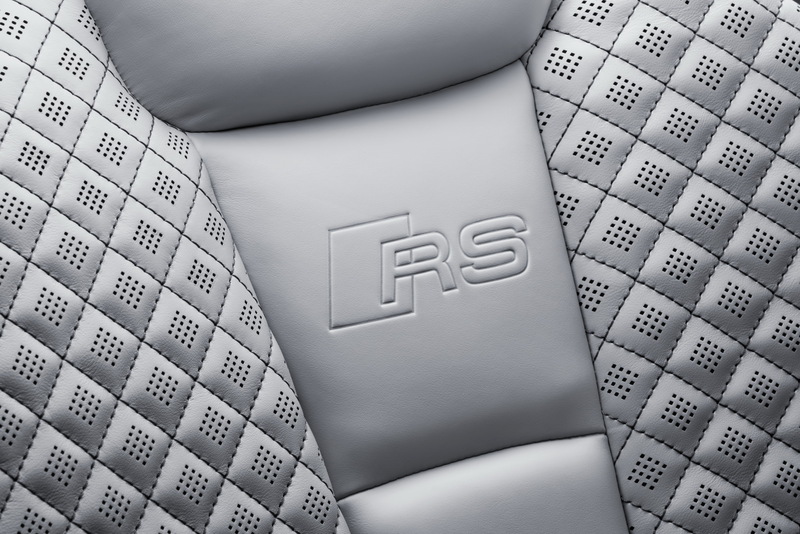 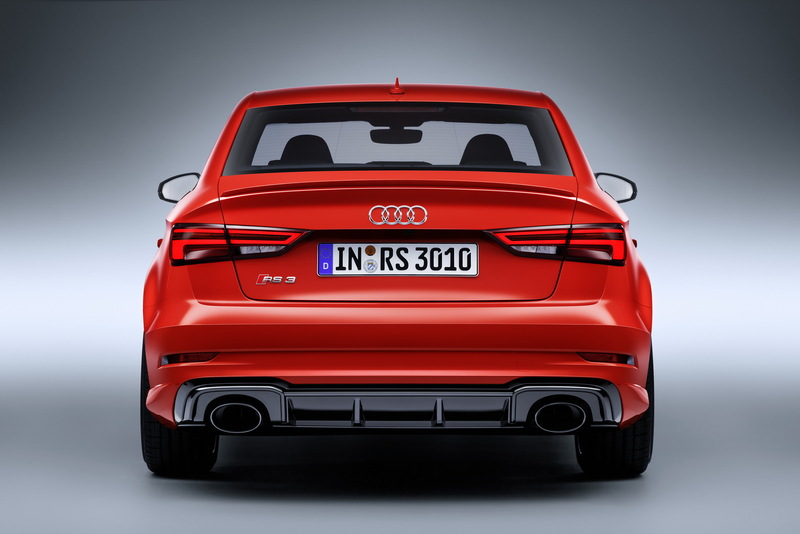 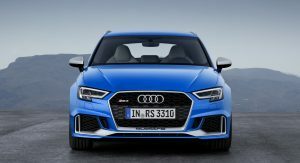 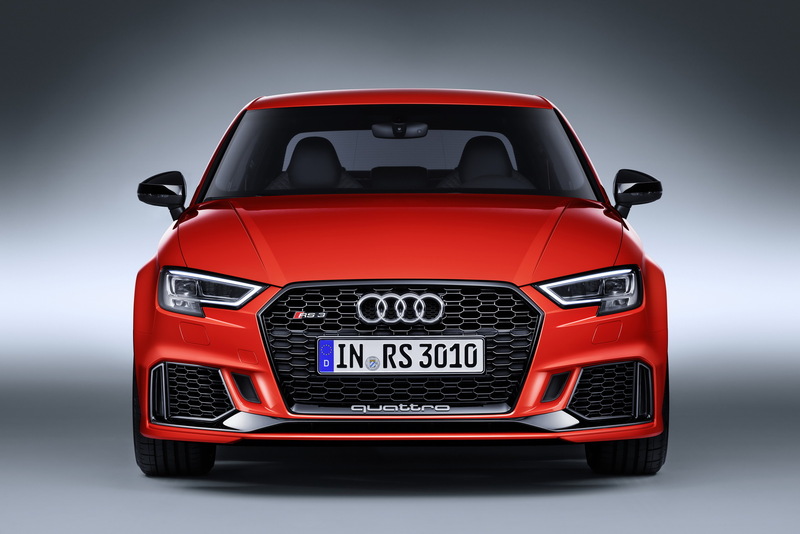 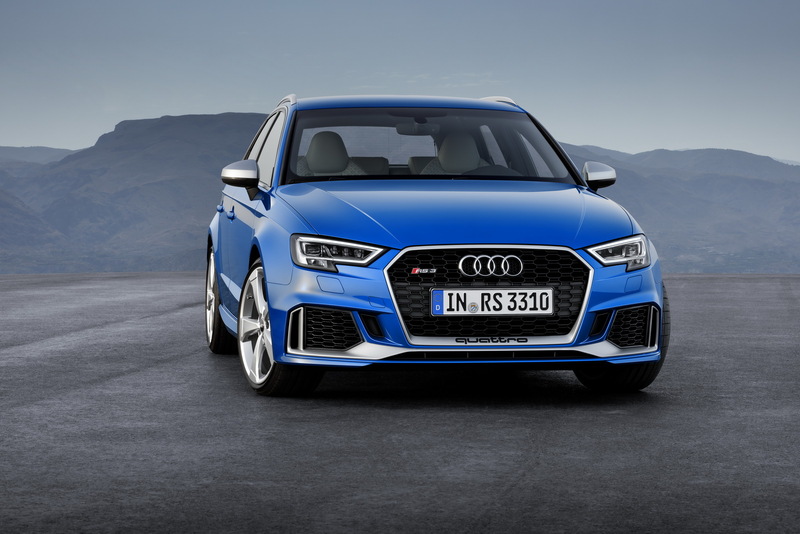 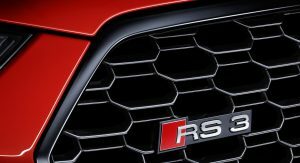 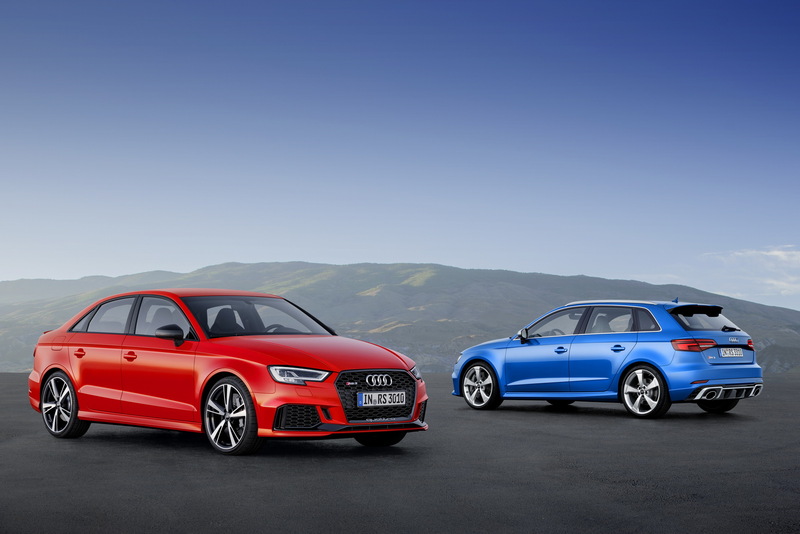 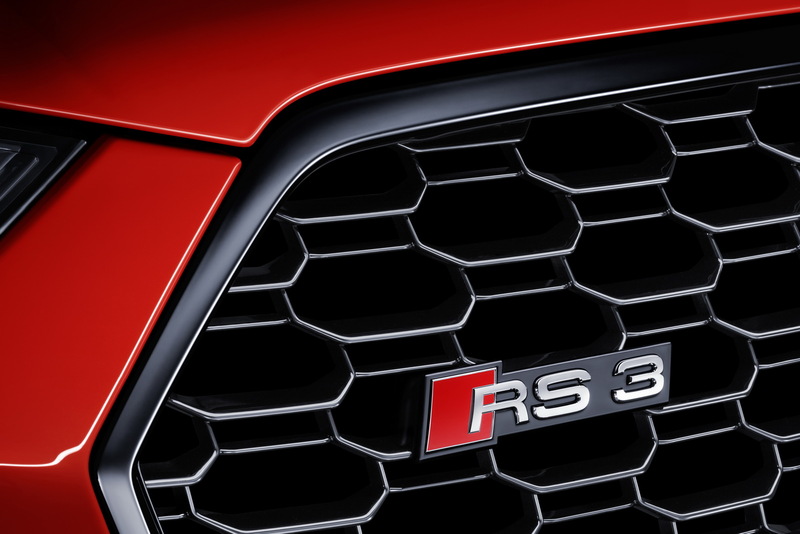 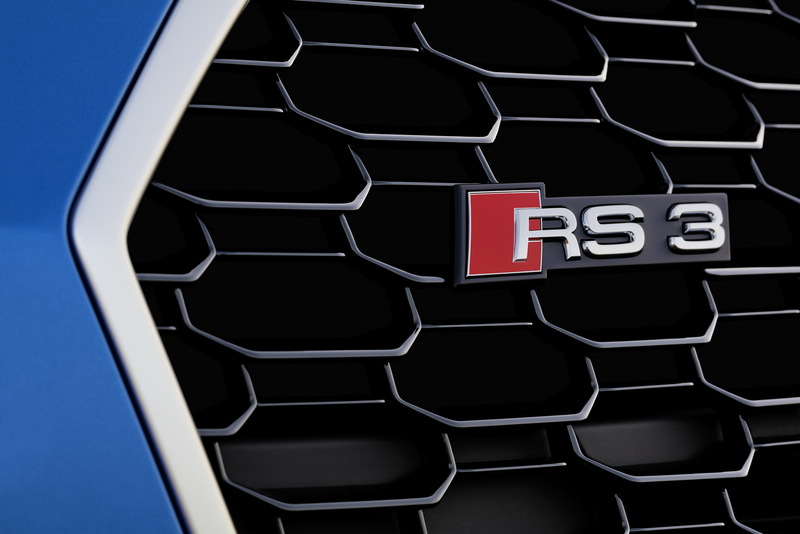 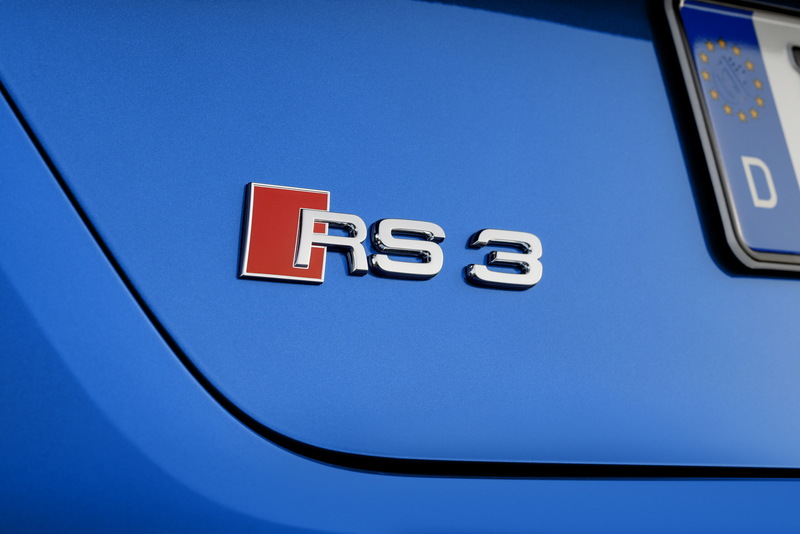 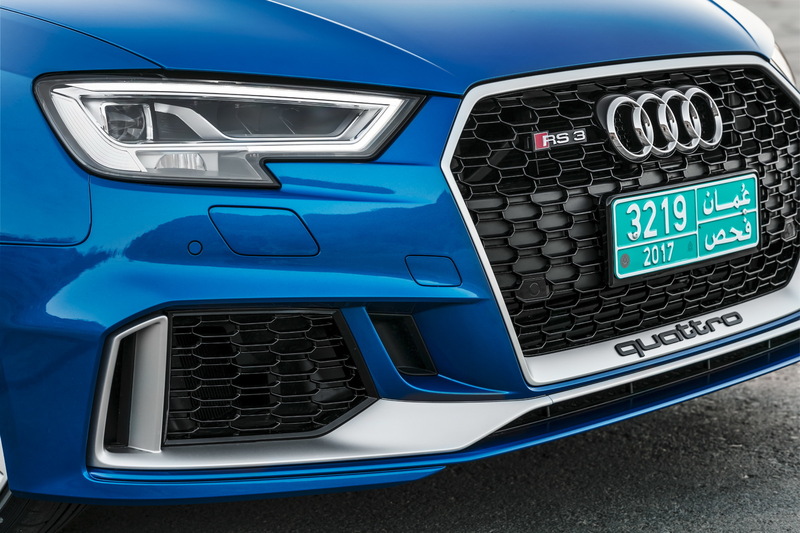 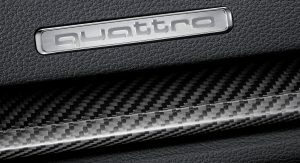 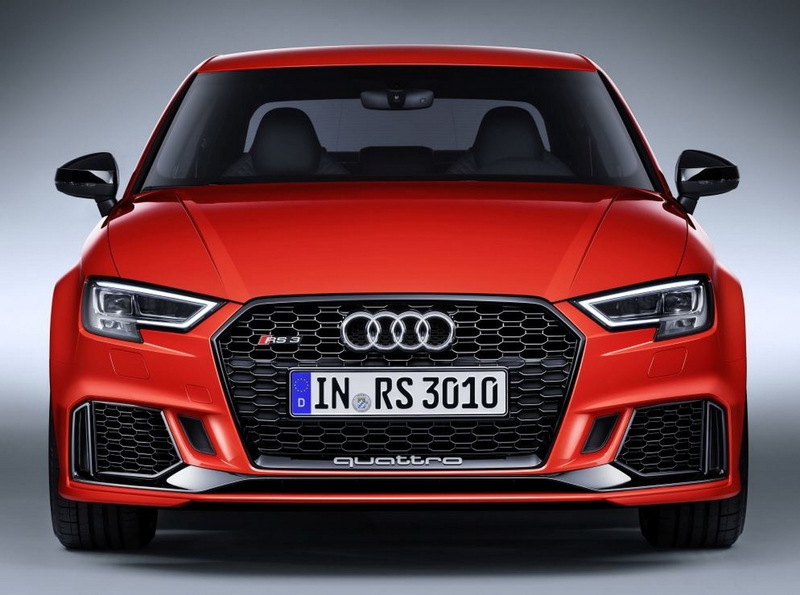 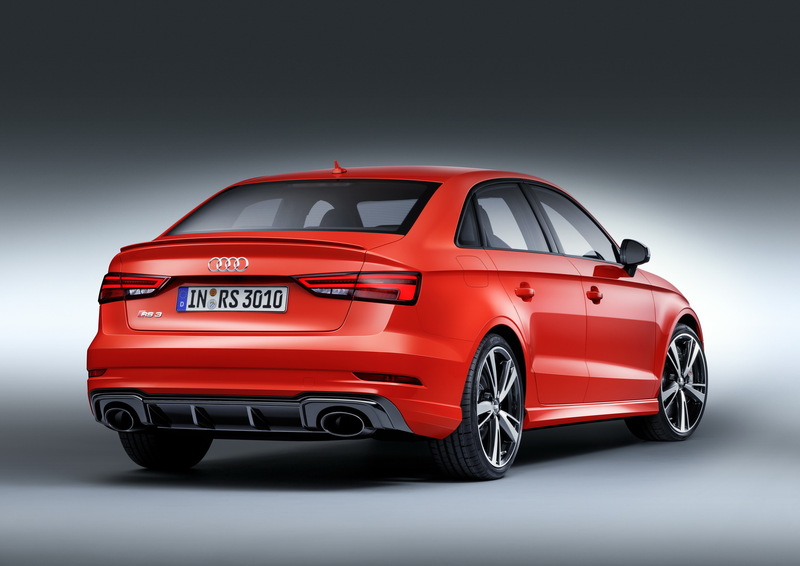 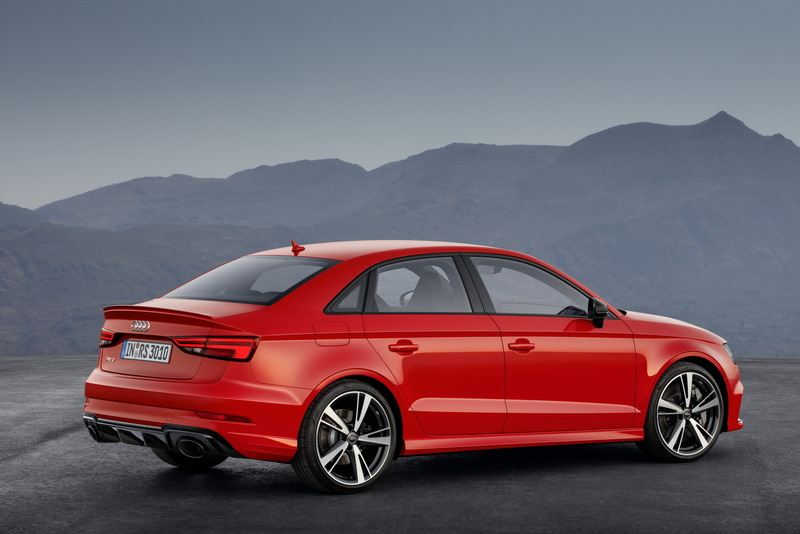 The RS3 is not in the same segment as the current M3, nor in the same segment as the previous RS4. 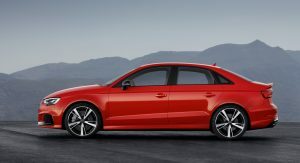 True I agree with that but I was thinking in terms of size not the competition it will go against. 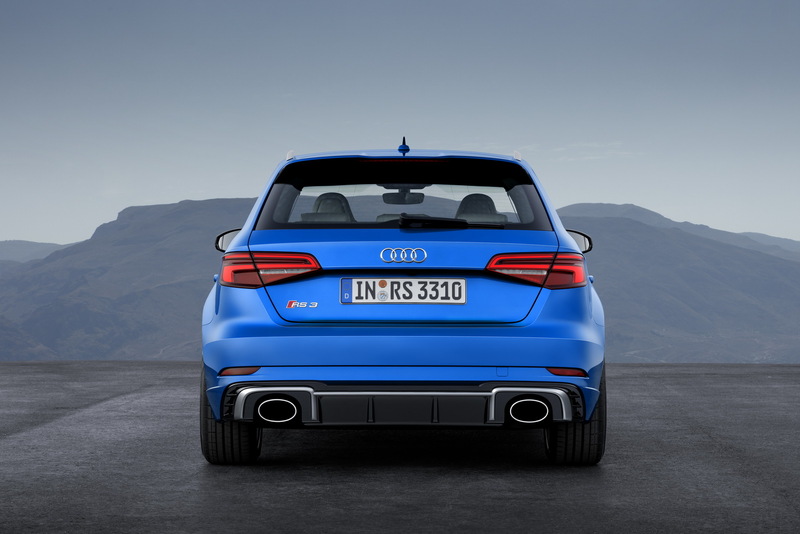 Those two grew in size so BMW has the m2 which is the size of the old m3. 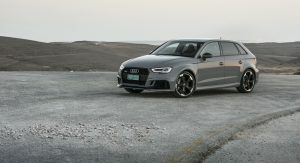 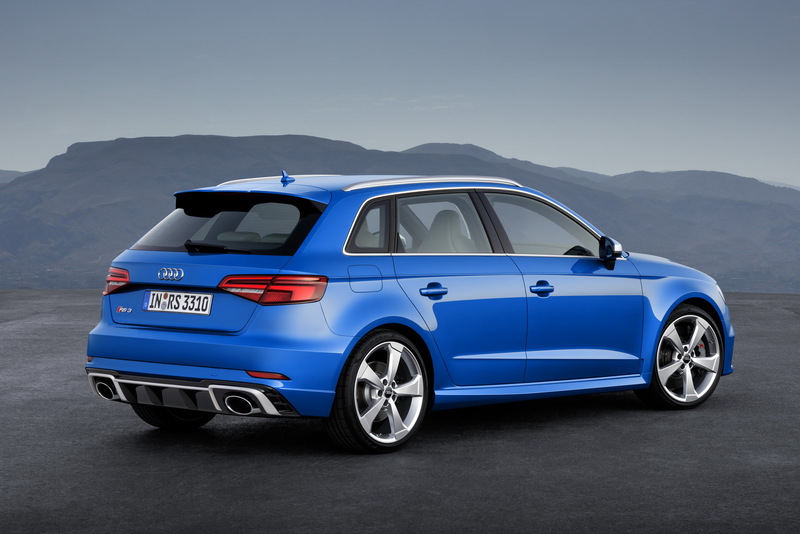 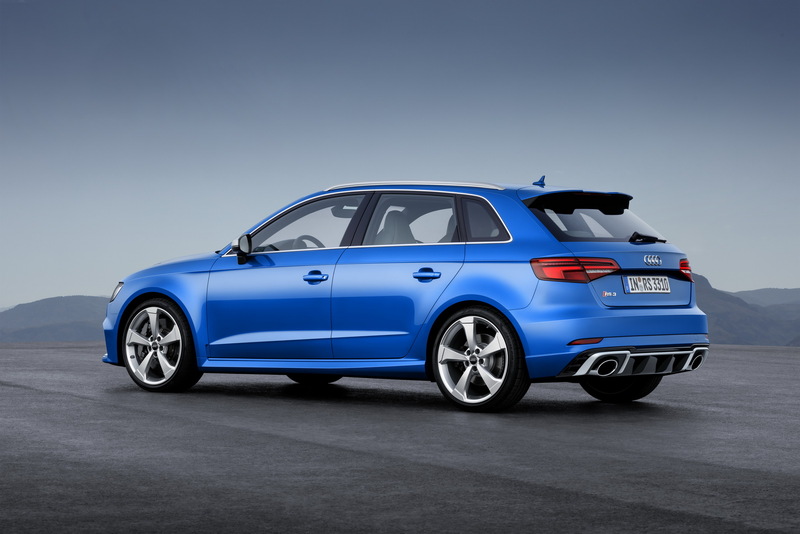 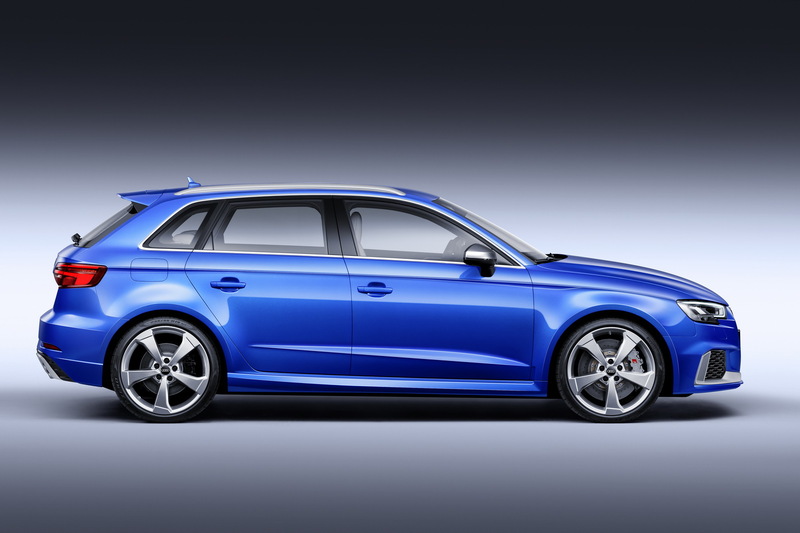 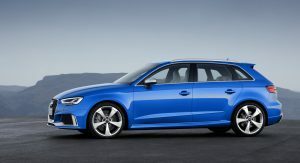 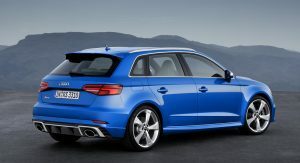 But Audi now has one which is the RS3 but it’s yet to be offered here. 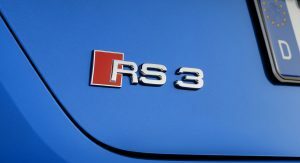 This totally should’ve/could’ve been todays “RS4”. 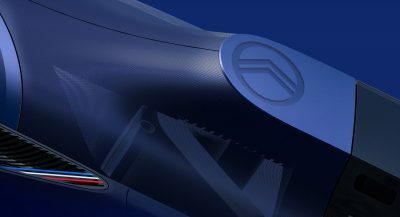 Seriously missed opportunity in my mind, though, as it just looks so ordinary. 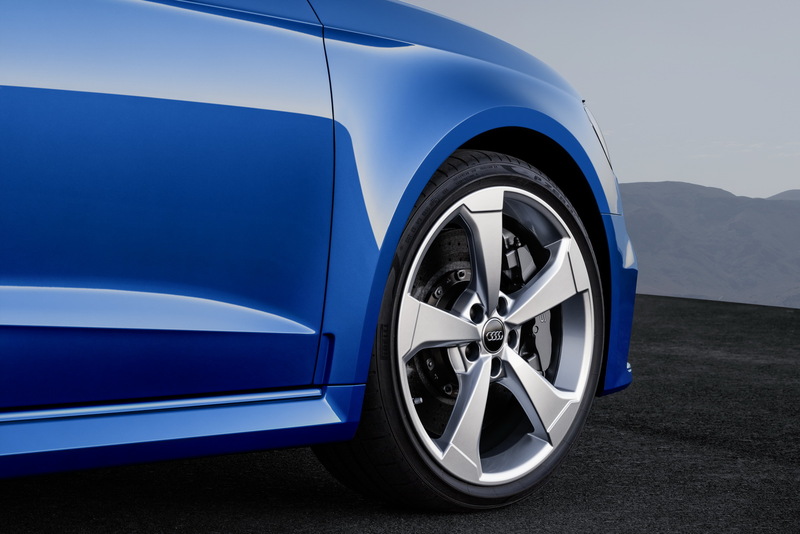 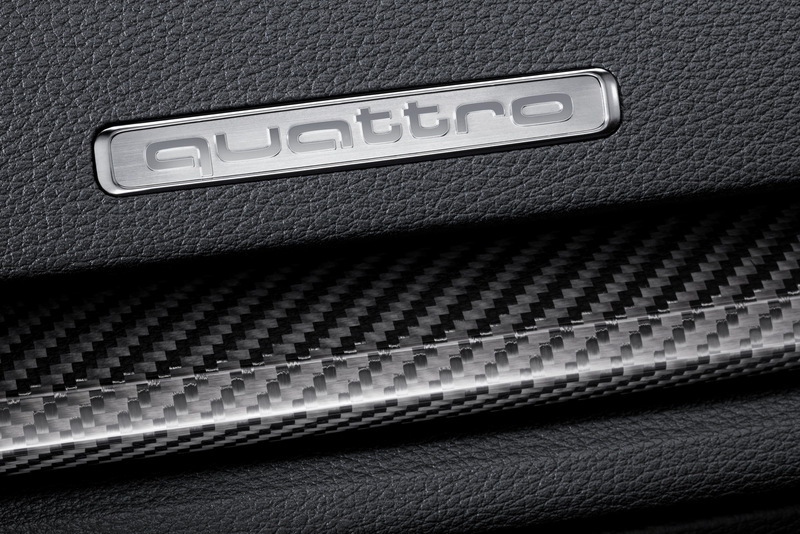 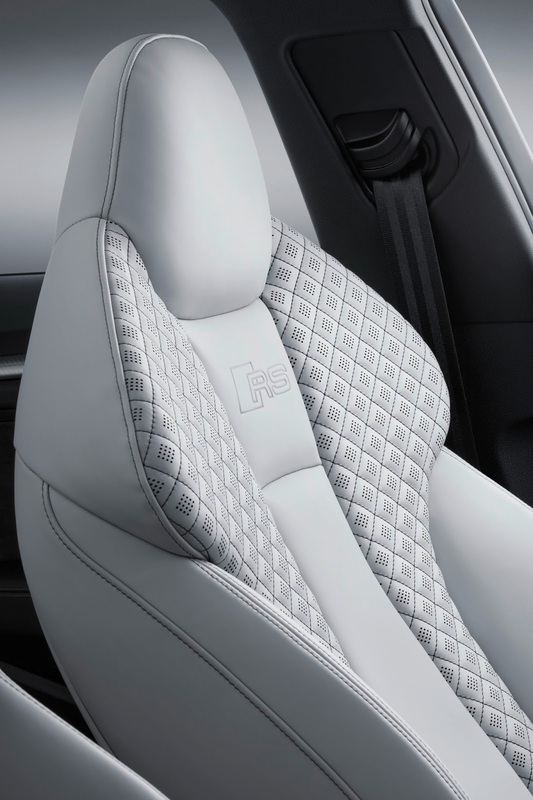 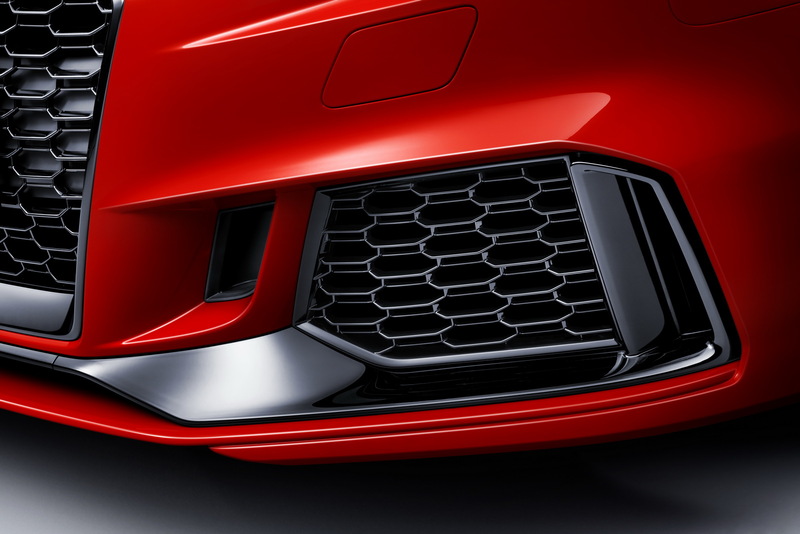 This could’ve been an utterly desirable winner of a new sporty car for Audi. 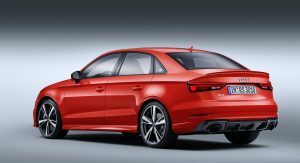 A little more “DTM” roots should shine through any “RS” model Audi produces, and this looks more Jetta/A3 caliber than race car. 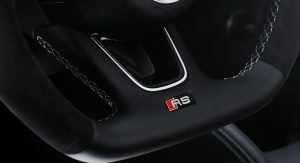 Even the new S5/RS5 are such a massively dull design disappointment. 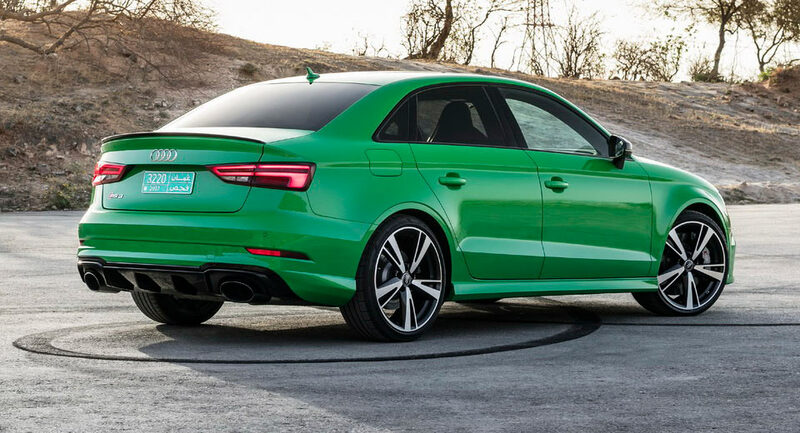 A little darker green and I’m interested. 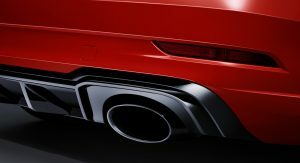 It may not be the best hyperhatch to drive but it looks so f*cking cool. 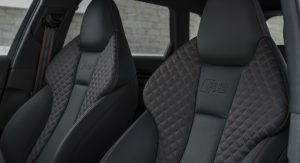 Particularly the grey hatch in the pictures. 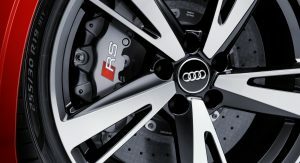 would love to take it for a spin.